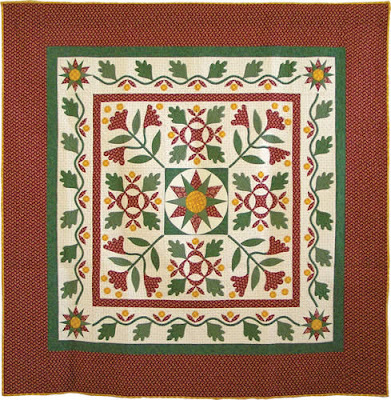 Last year, a traveling exhibit called "Inspired by Red and Green" displayed quilts from the 2008 Quilt Study Group (you can see a review article with 19 quilt photos here). 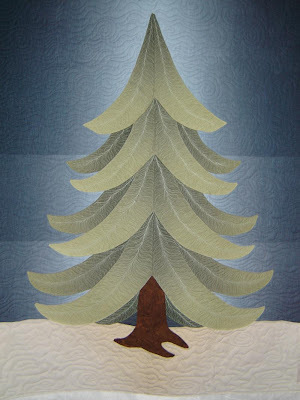 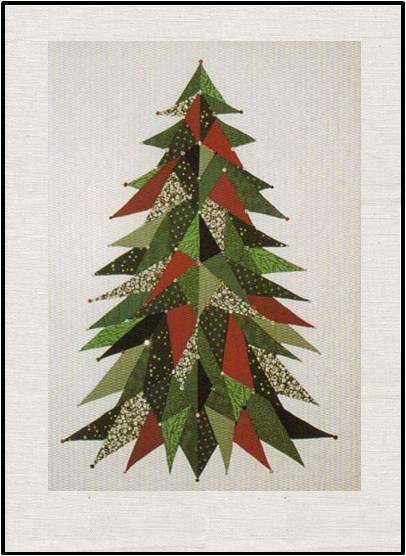 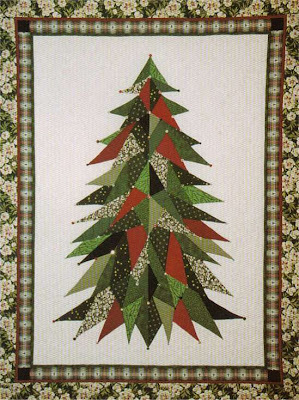 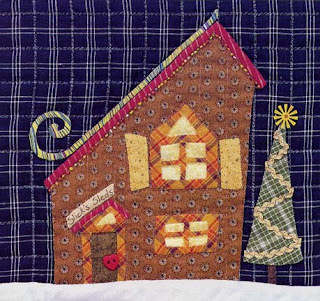 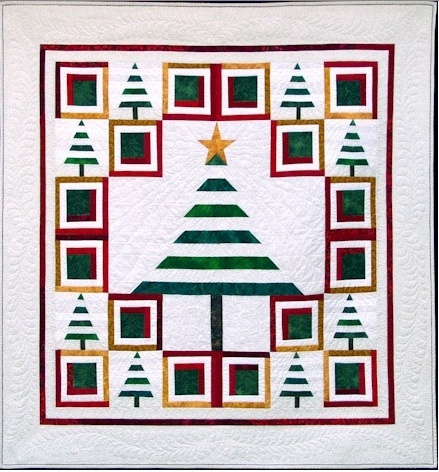 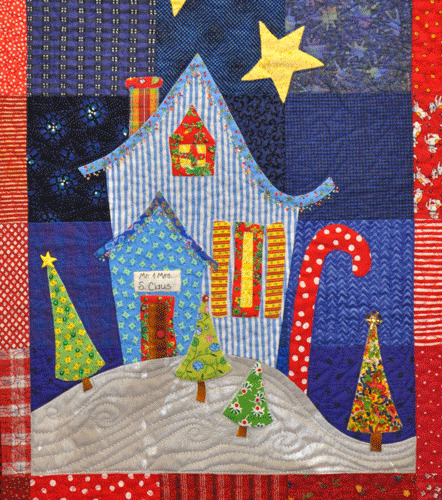 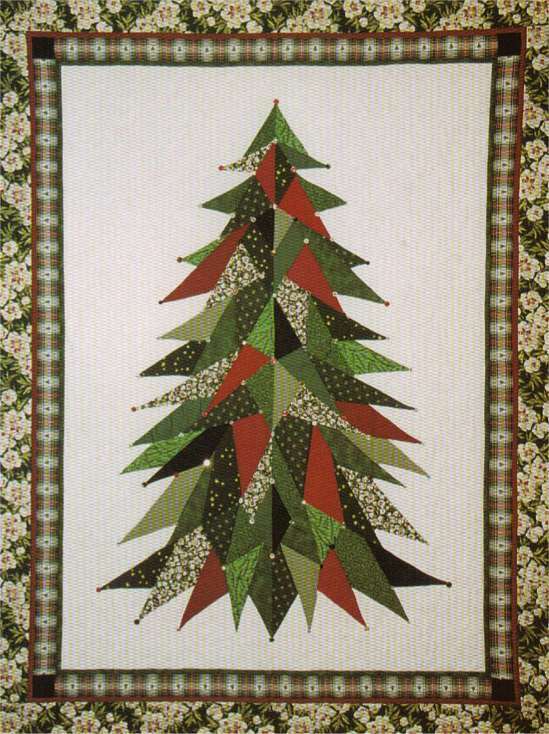 The Rocky Mountain Quilt Museum also has a red-and-green quilt exhibit called "Home for the Holidays" (until January 29). 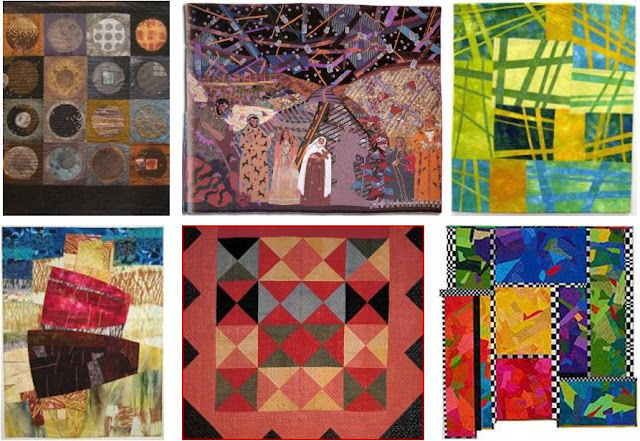 These exhibits inspired us to assemble our own (virtual) collection. 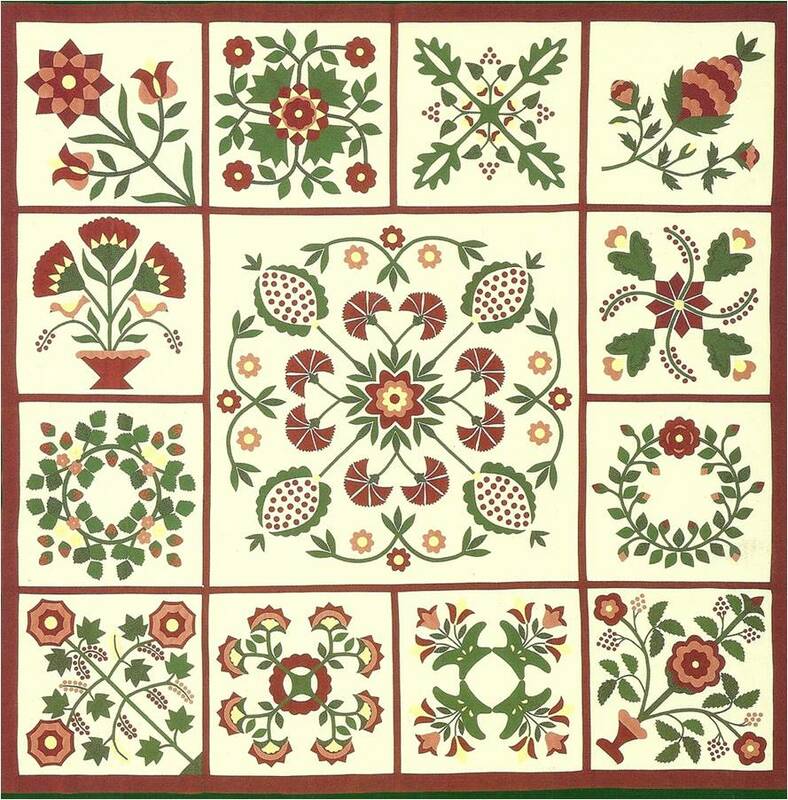 After considerable research, we selected the elegant floral quilts shown below, and the Christmas quilts we'll be featuring later this week. 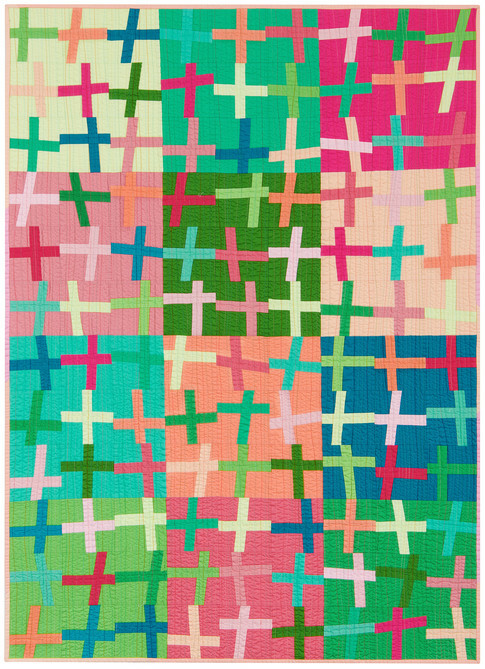 We admire these red-and-green quilts, which have such a timeless style... what do you think ? 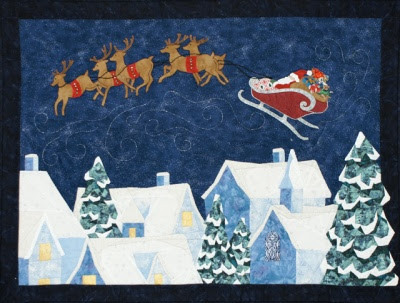 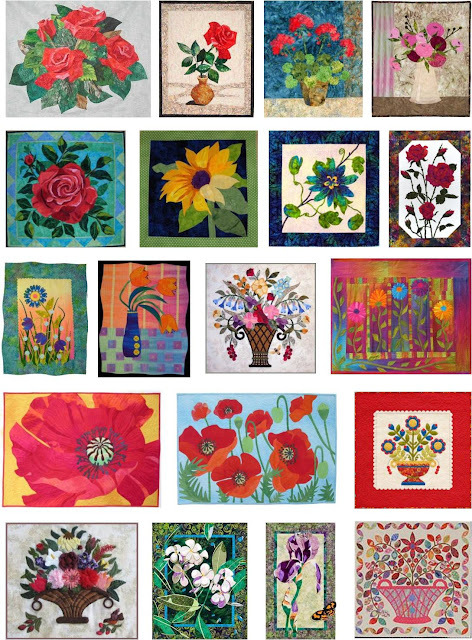 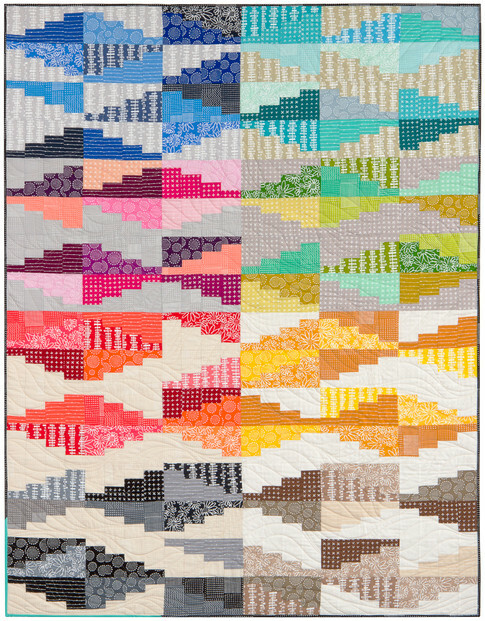 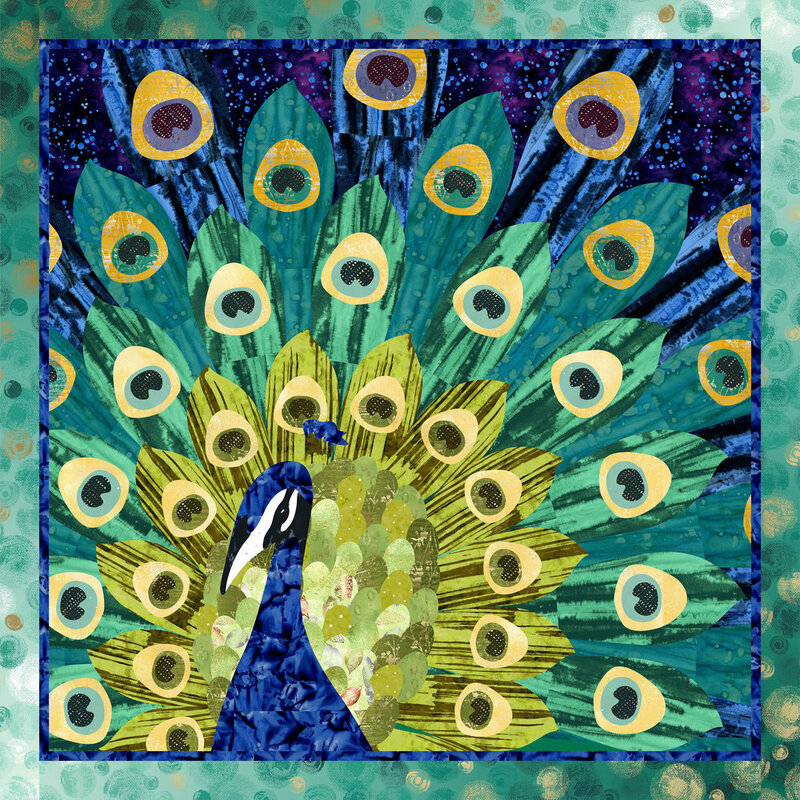 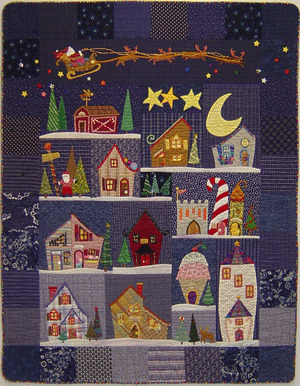 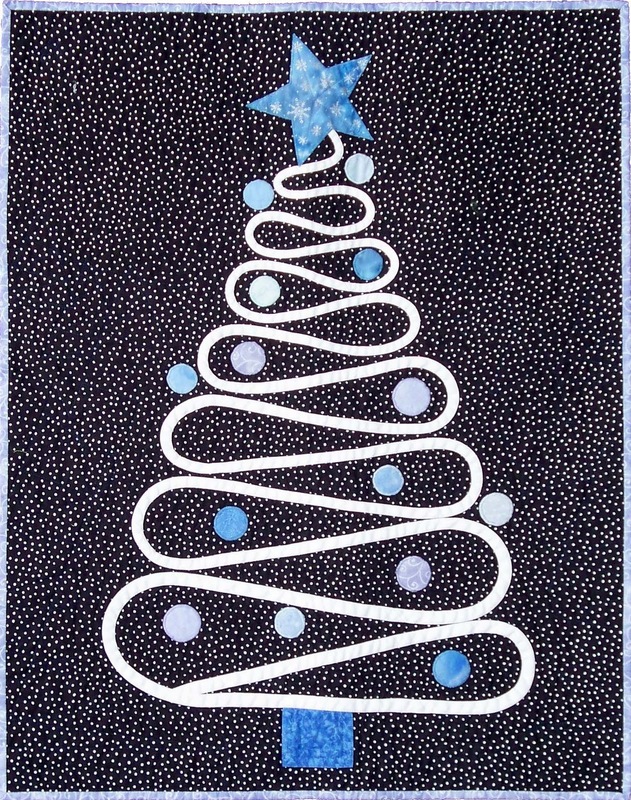 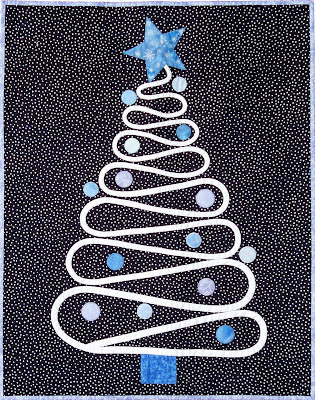 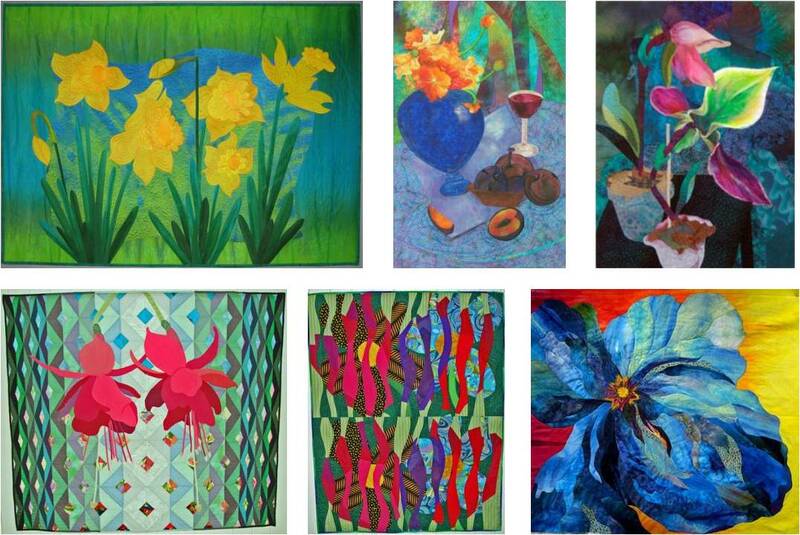 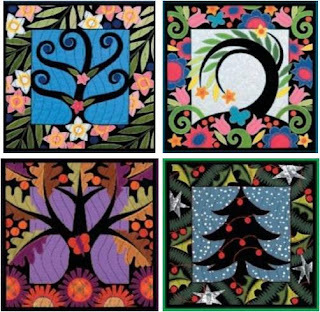 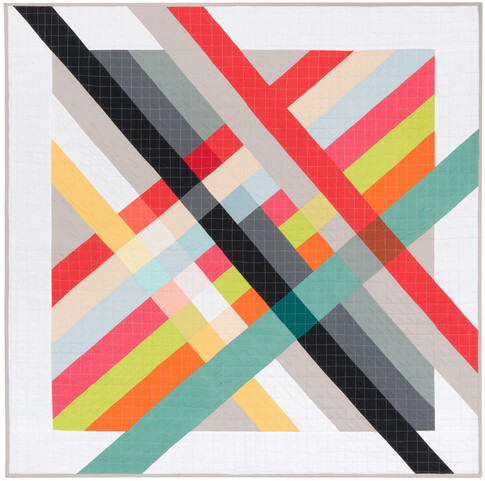 Nancy Rink is a quilter and pattern designer whose creative designs span a range of styles - from traditional to mod, and from pieced to appliqué (and combinations thereof). 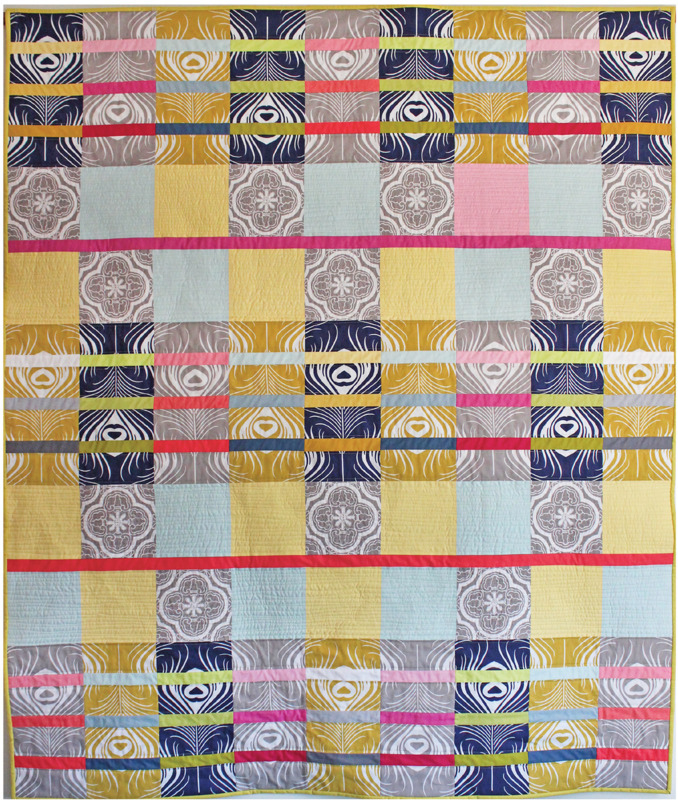 She describes her own tastes as "eclectic", which might explain why we love her designs ! 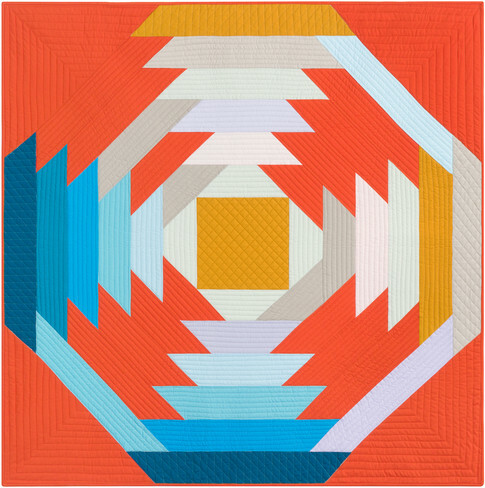 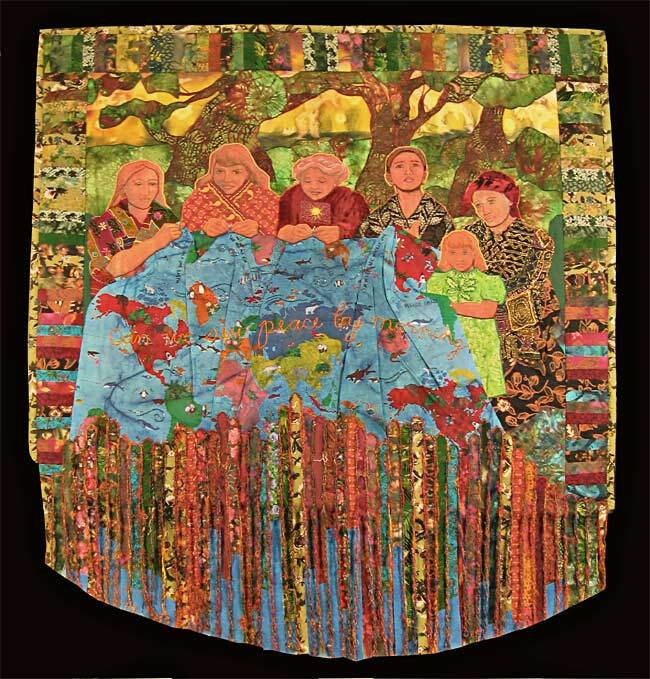 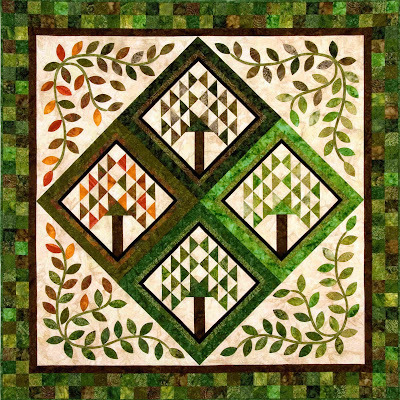 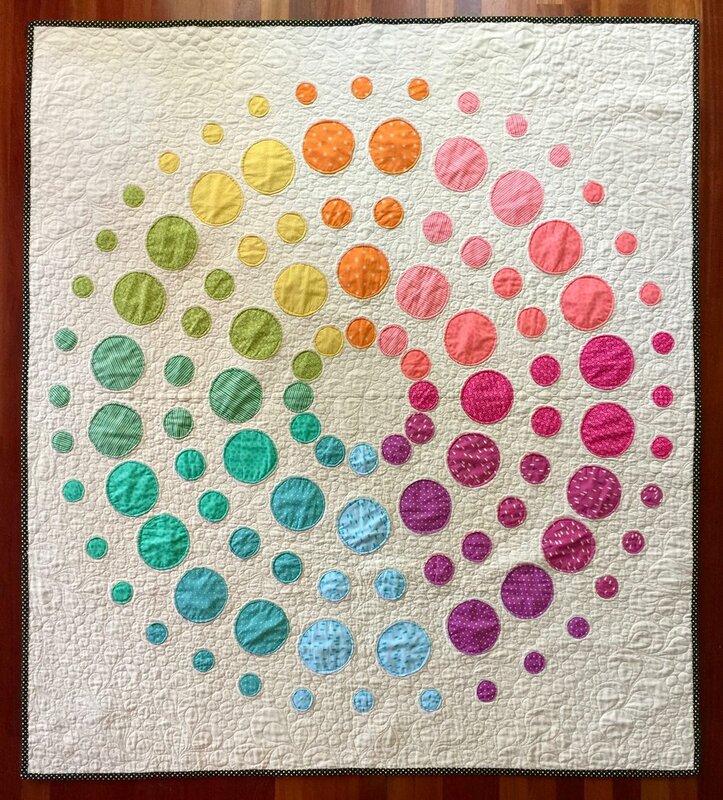 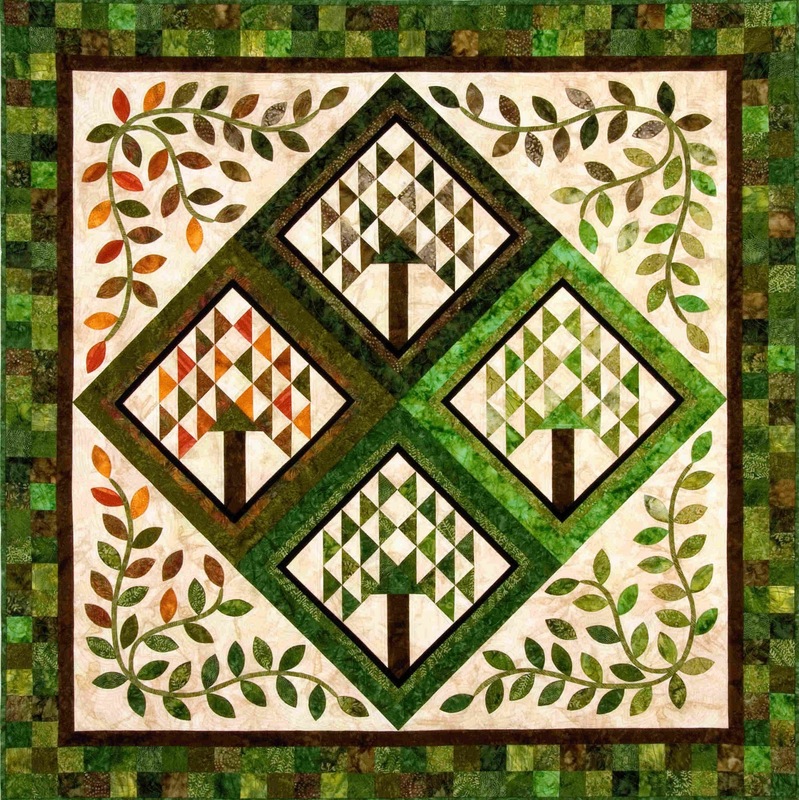 Her quilts include numerous award-winners, such as "Prairie Compass", shown above. 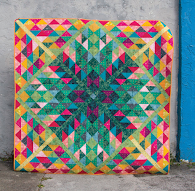 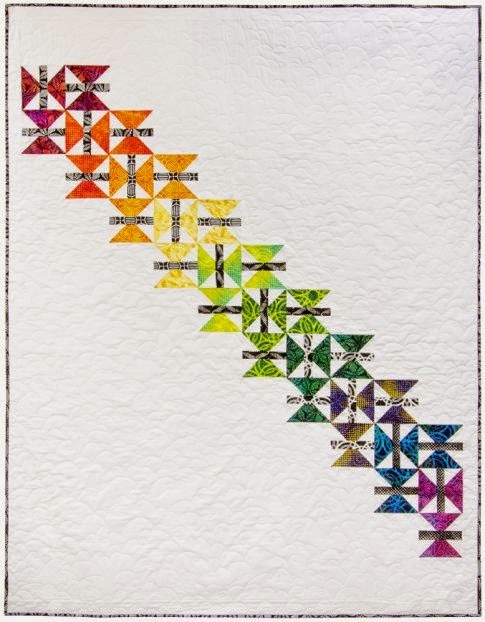 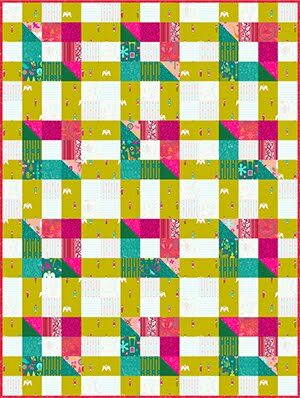 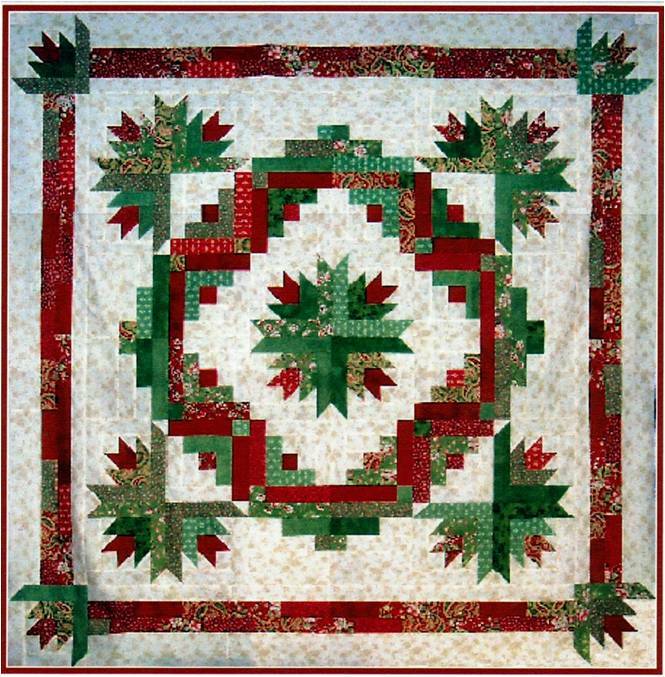 This red-and-green beauty combines three different blocks - prairie lily and reel, along with compasses, which sparkle in the four corners and center of the quilt. 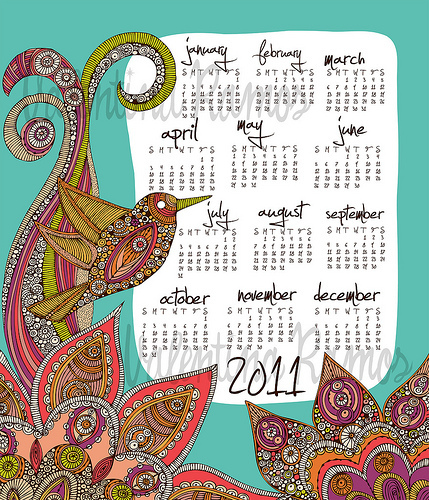 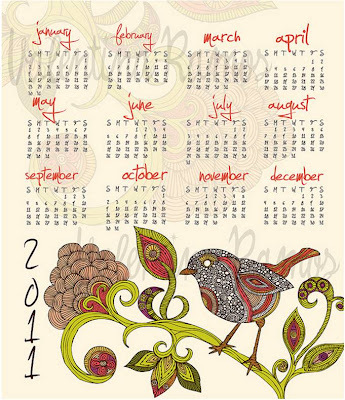 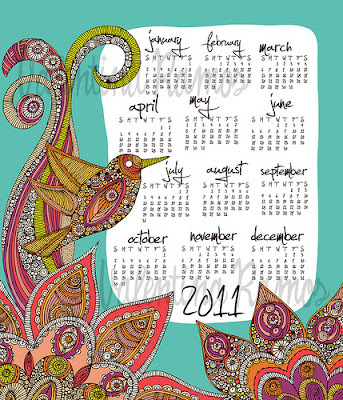 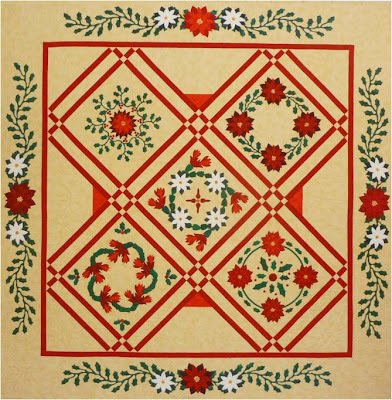 The pattern is available on the Prairie Compass page at Nancy Rink Designs. 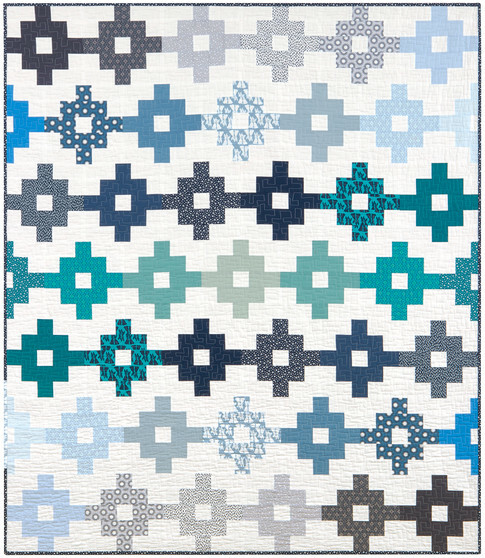 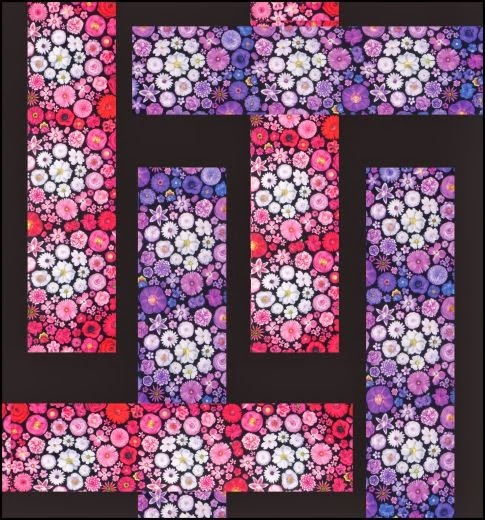 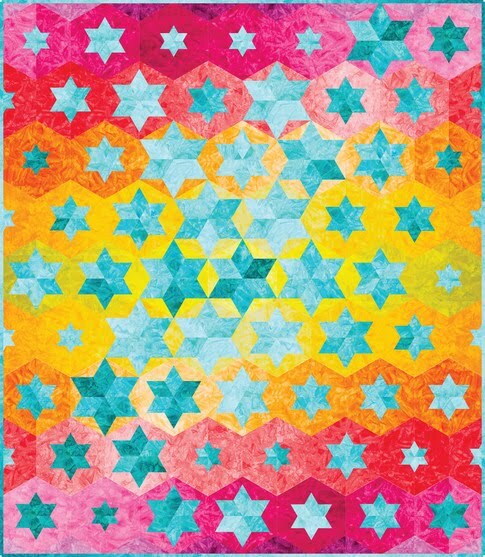 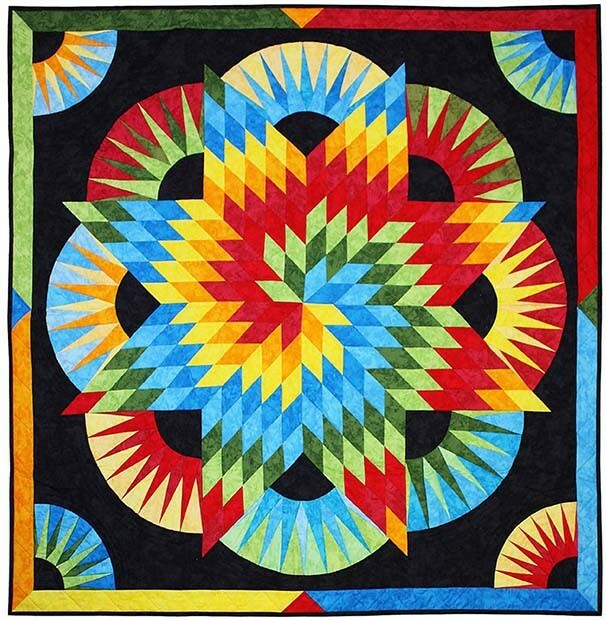 Here are just a few more of our favorite designs : Desert Star, Flower Power, and the dazzling red-and-white Ring of Stars, which was selected for the Jan/Feb 2011 issue of McCall's Quilting. Linda Hohag is an artist and designer whose career has included work in childrens' book illustration, greeting cards and calendar art. 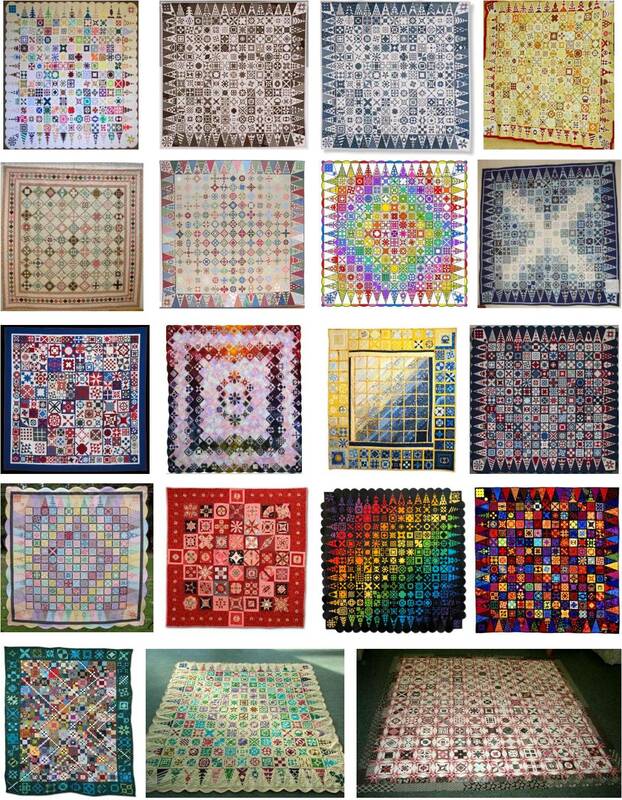 She has been making quilts since 1978. 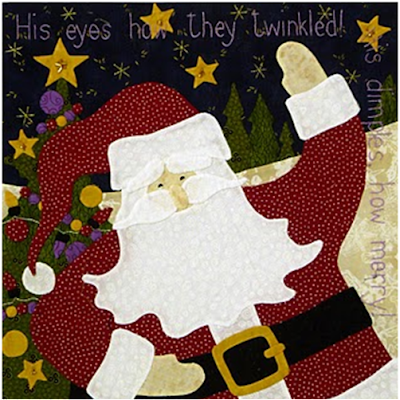 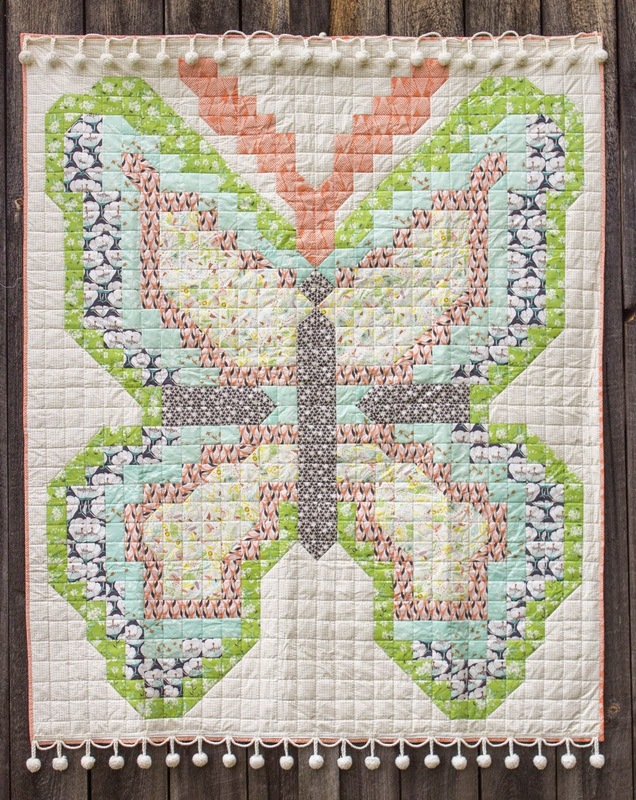 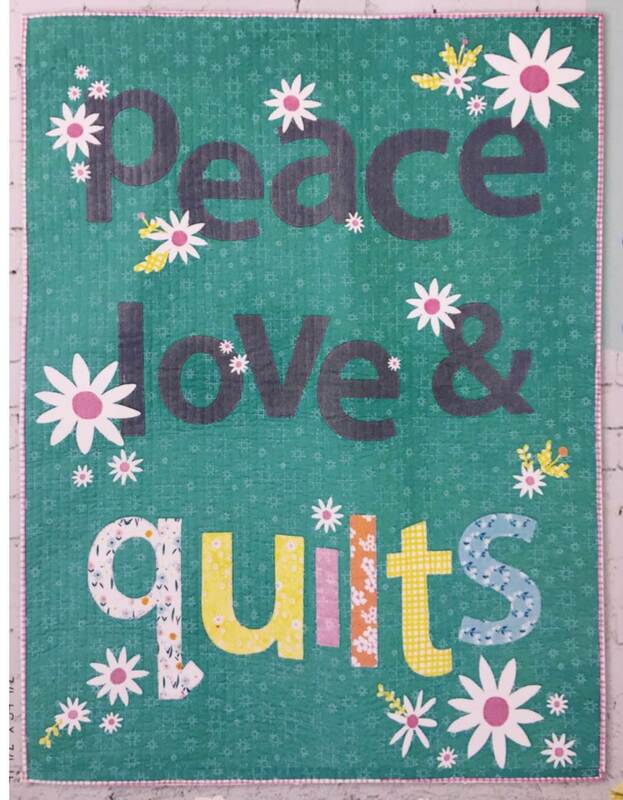 Her books and patterns can be found at Brandywine Design Quilts (you may recognize the adorable "Dolly Days" and "Critter" quilts among her designs !) 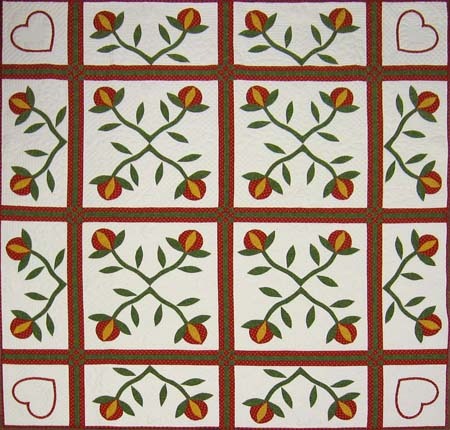 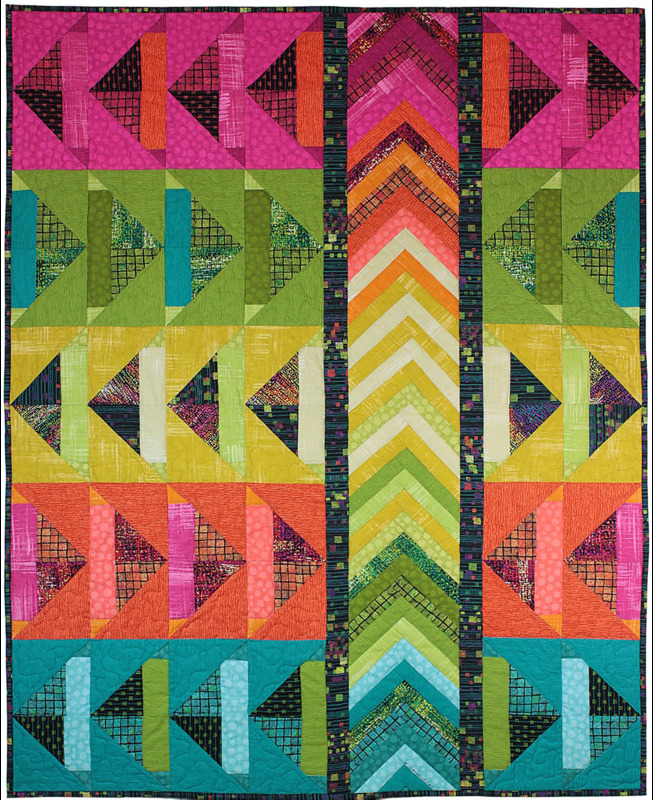 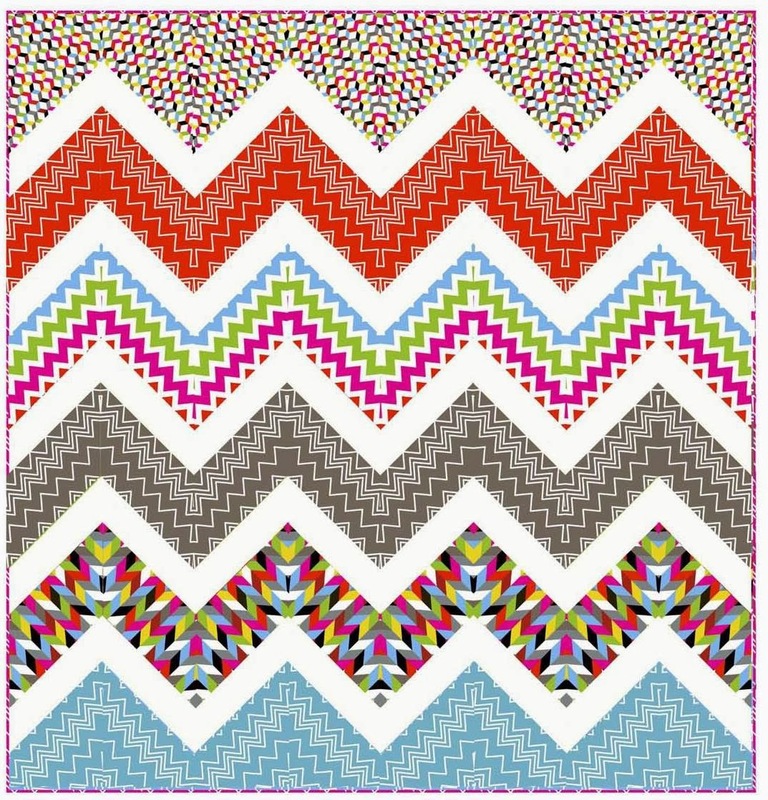 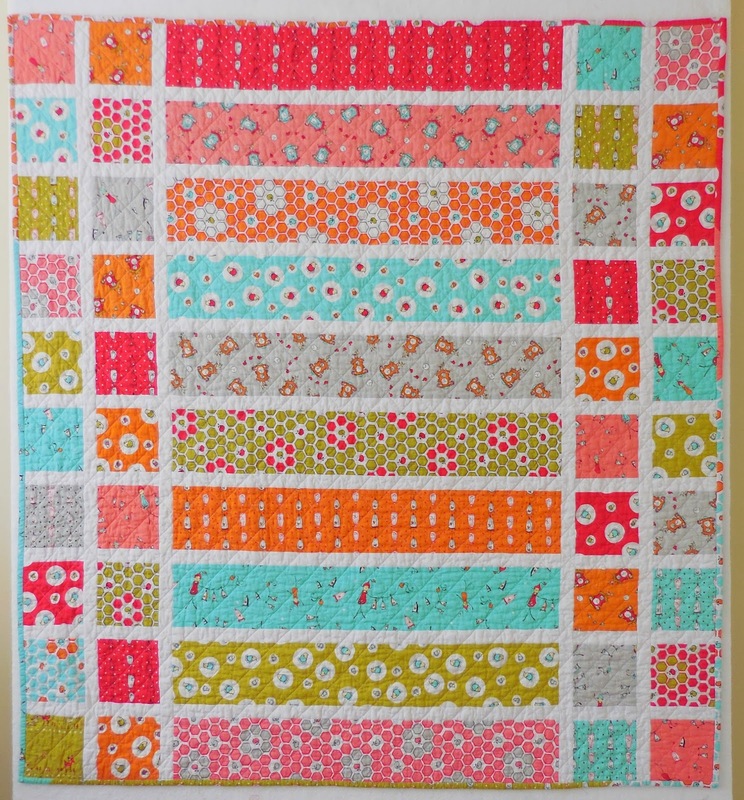 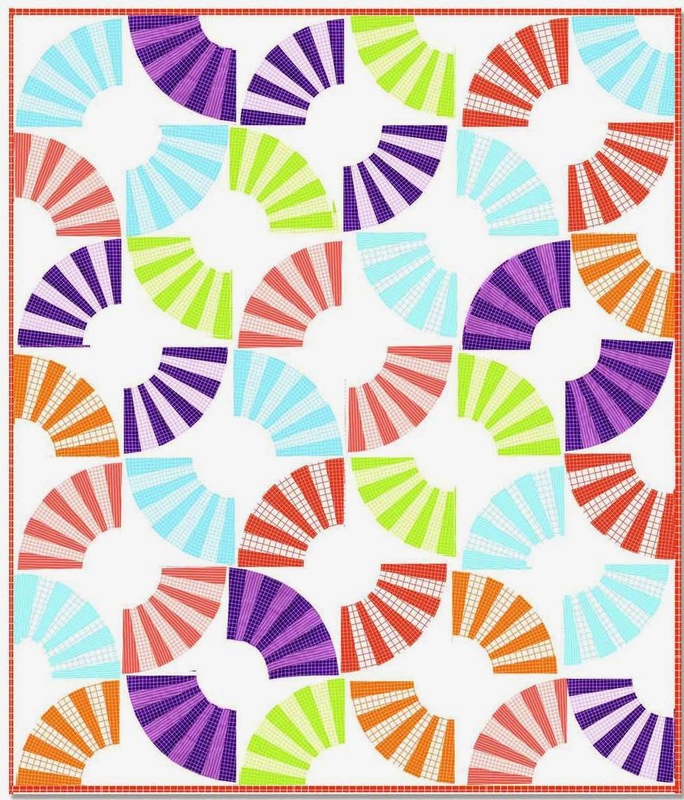 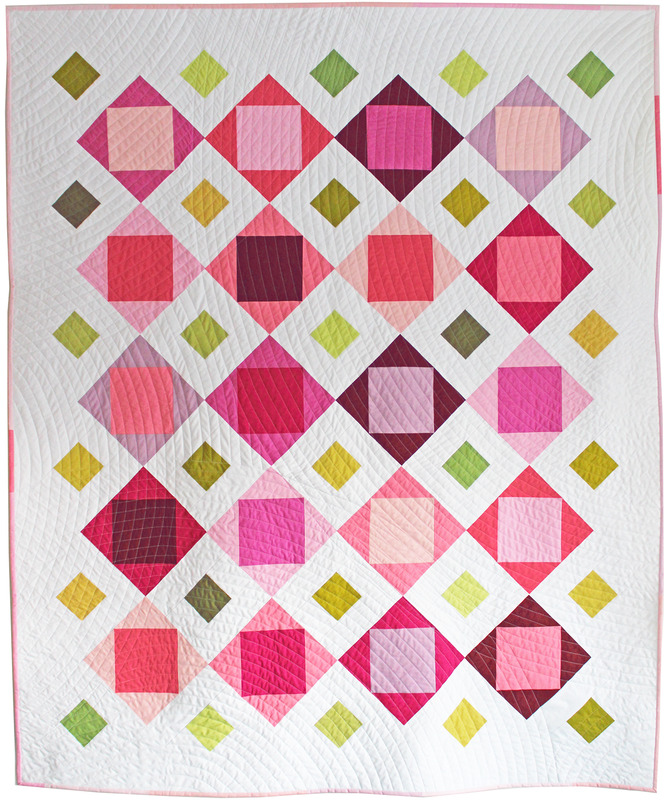 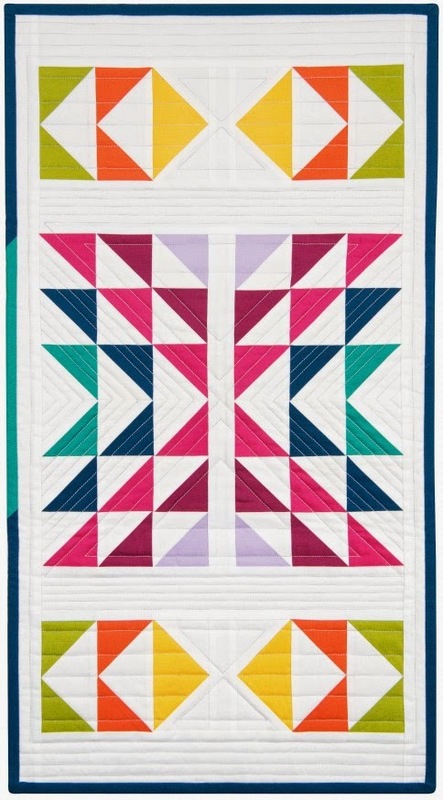 "Tulip Twirl", shown above, reflects the traditional red-and-green floral quilts of the past... we love the stylized tulip blocks and the two-toned swag border, which echoes the curves of the tulip stems. 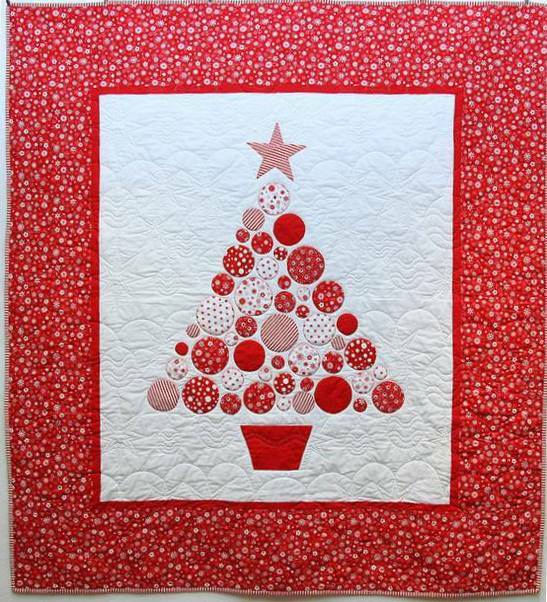 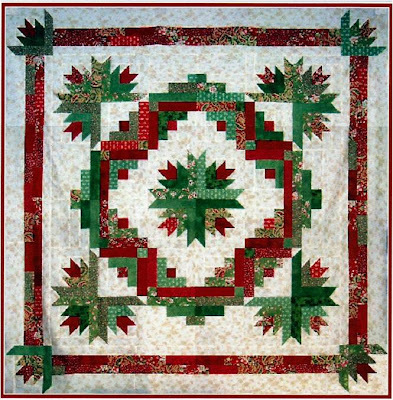 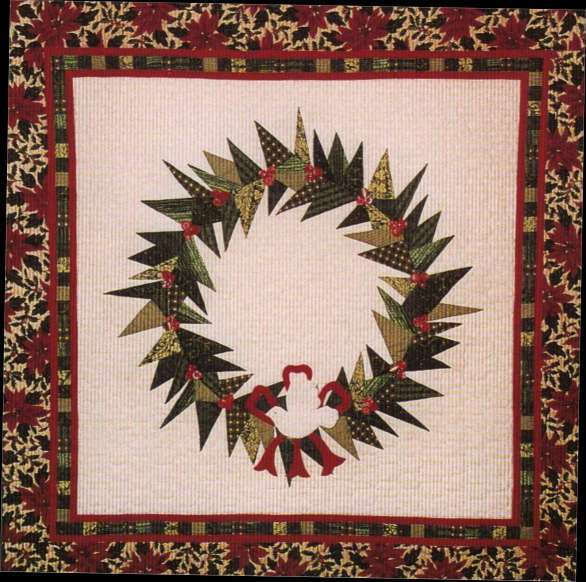 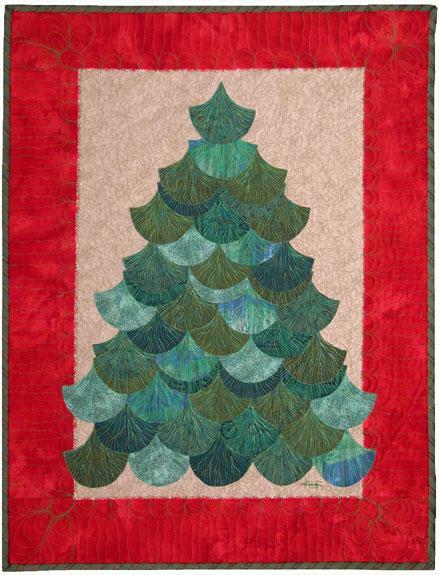 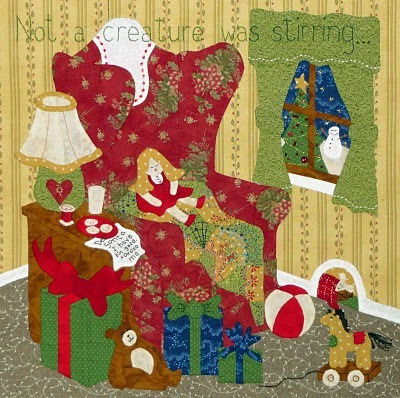 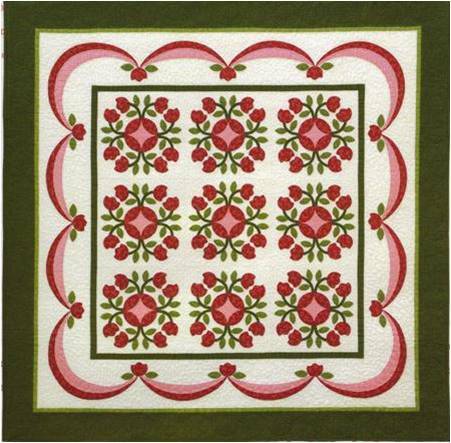 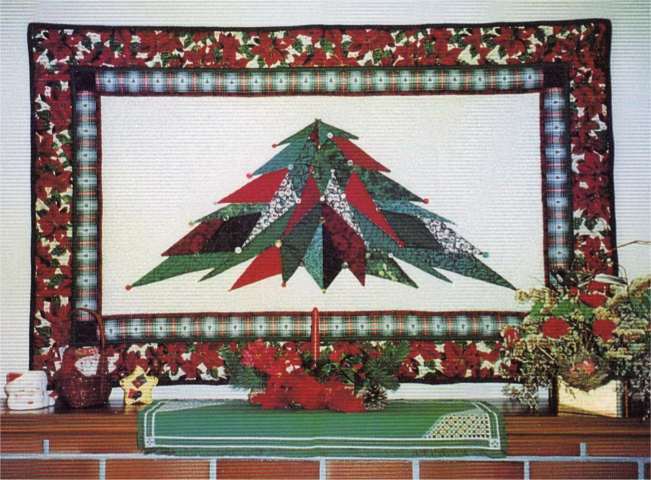 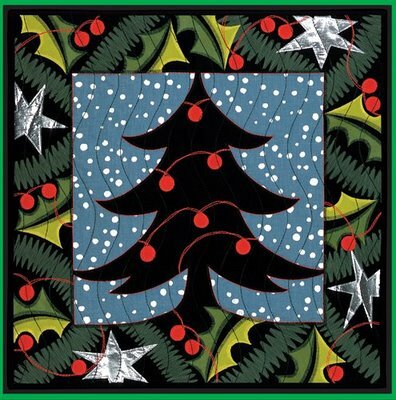 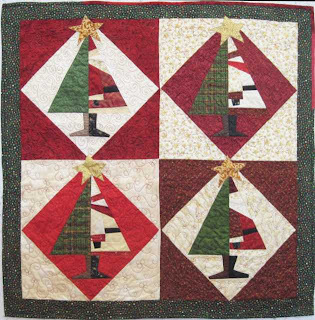 Another charming red-and-green quilt is Christmas Windows, which has twelve different floral applique blocks; the pattern is available here. 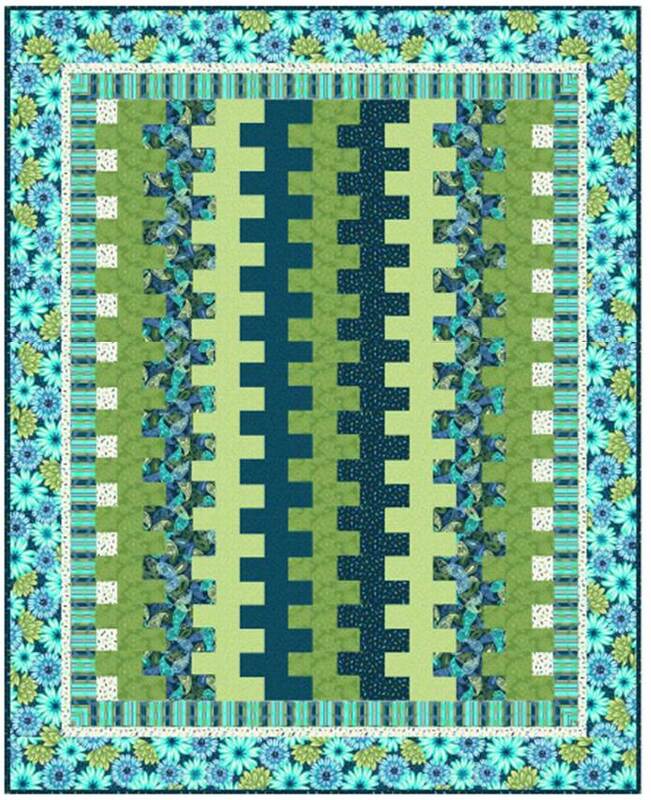 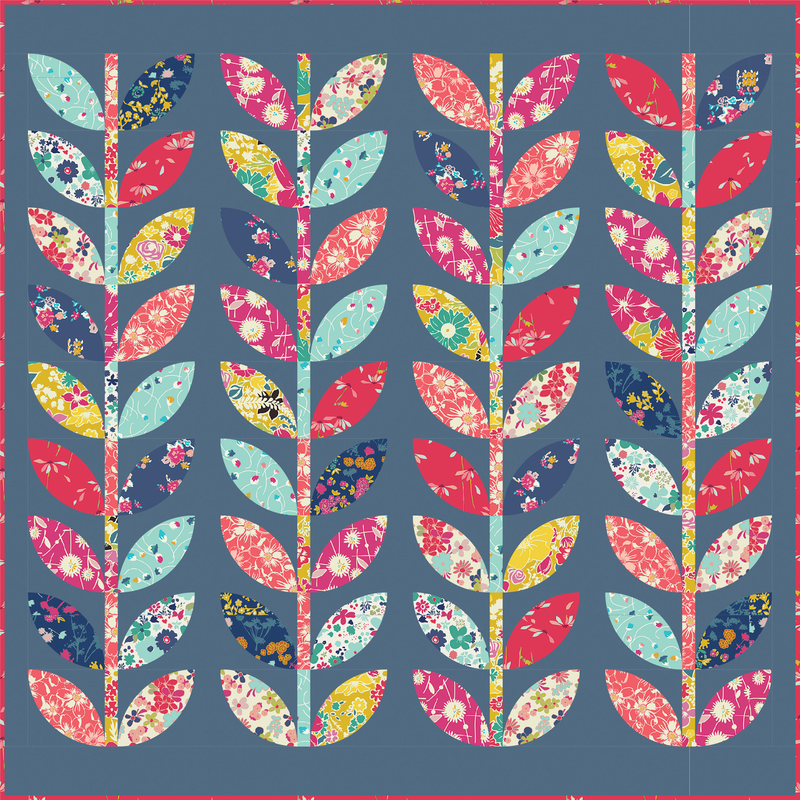 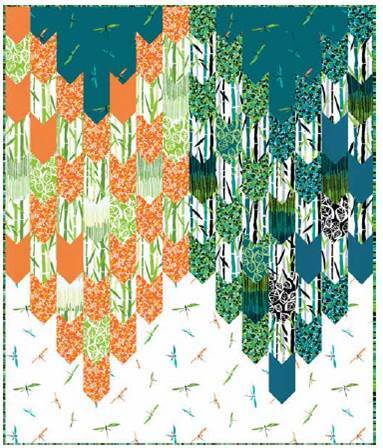 You can see more of Linda Hohag's artistry in her latest collection of fabrics for P&B Textiles: the Morningstar Collection. 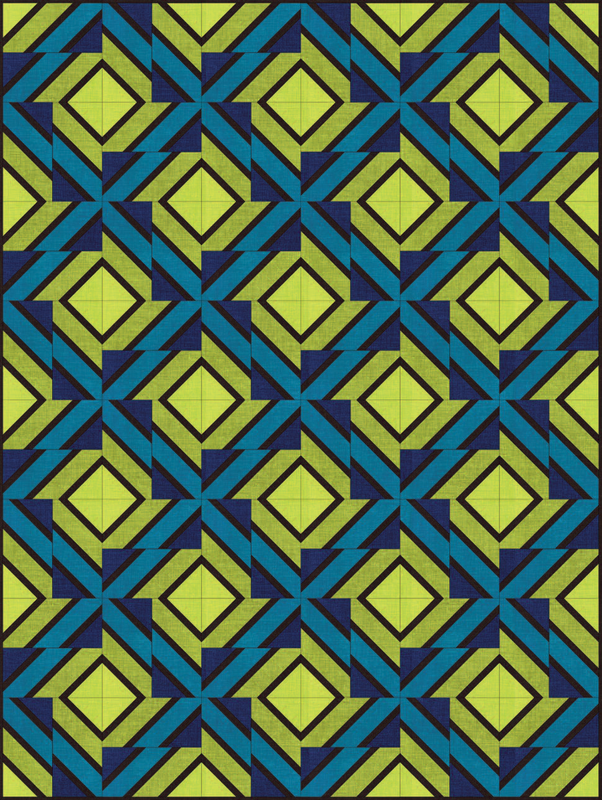 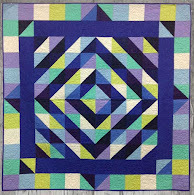 We were so excited to discover Common Threads Quilting. 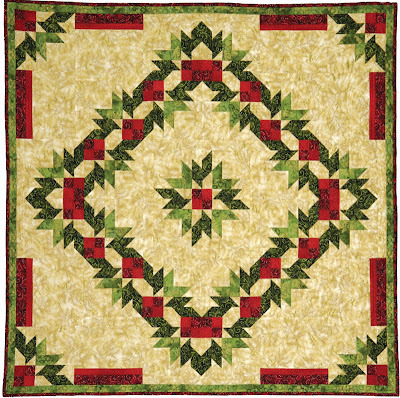 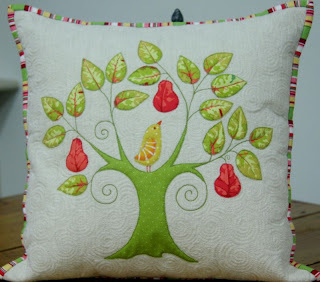 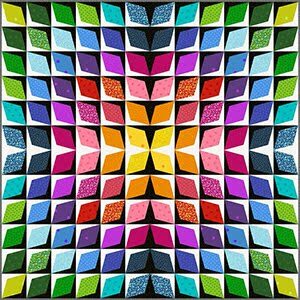 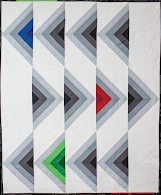 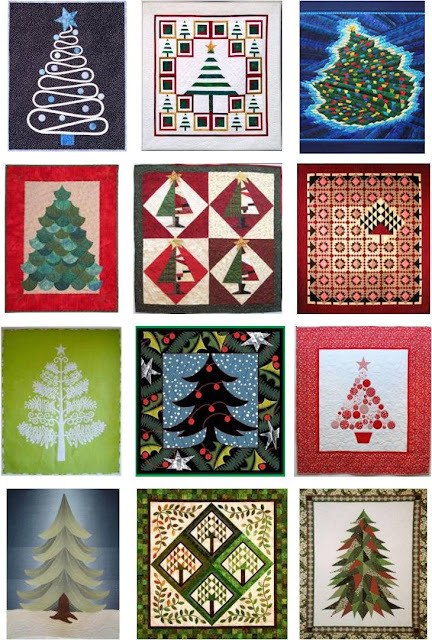 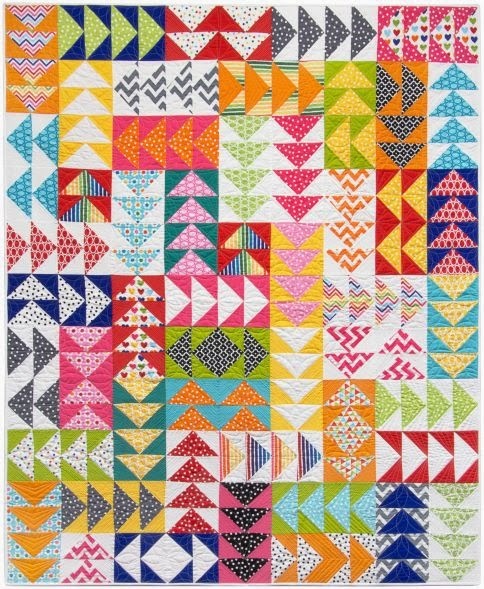 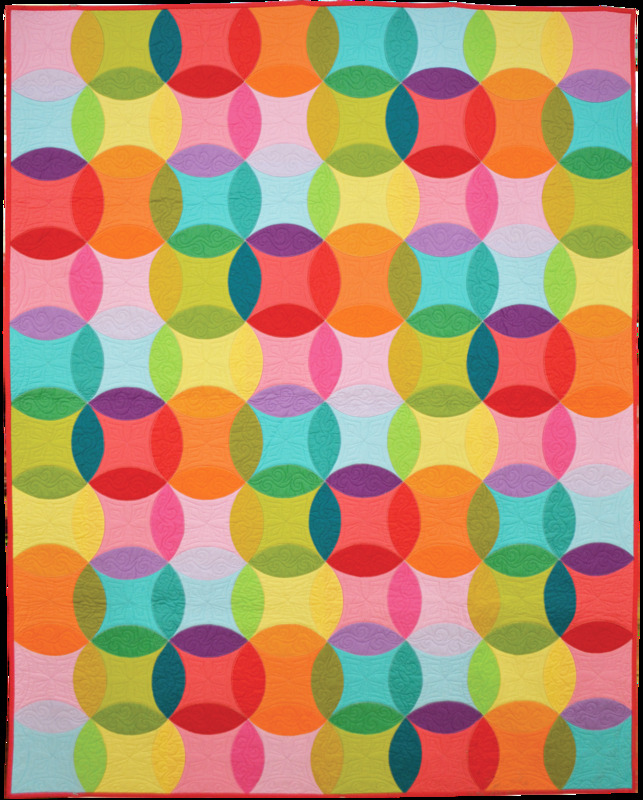 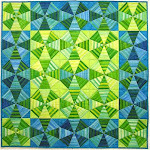 The bricks-and-mortar shop is in Waxahachie, Texas, but many products are available online, including patterns for the cheerful red-and-green quilts shown above. 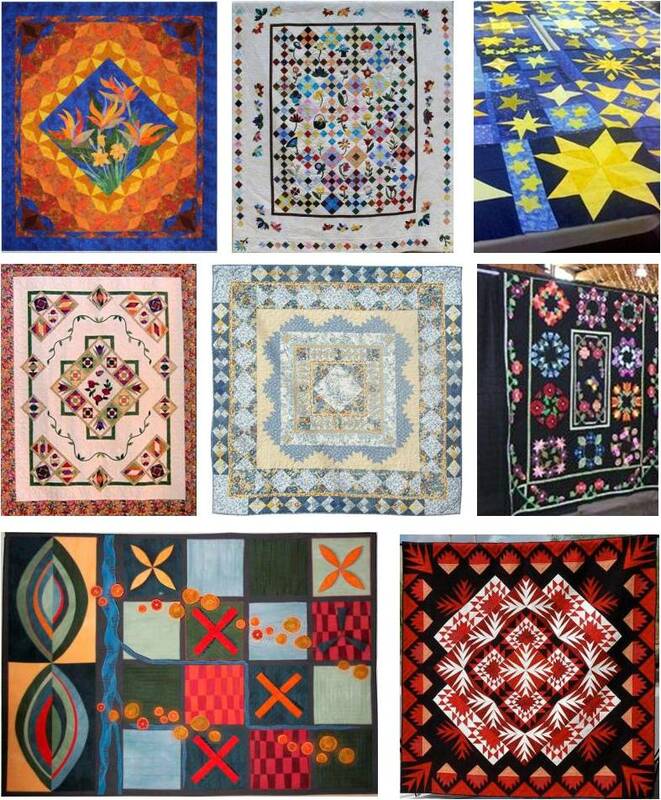 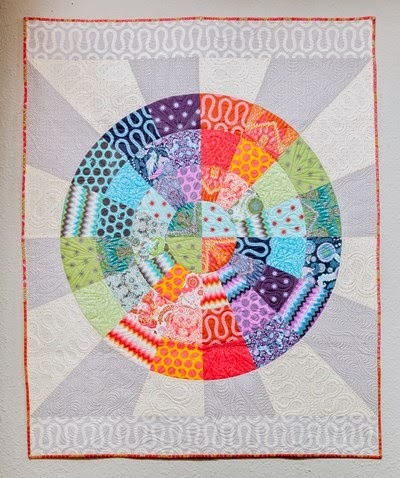 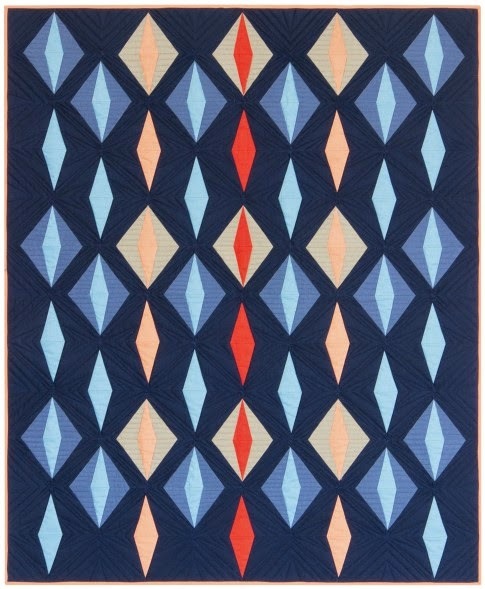 Both quilts were inspired by antique quilts in the owner's collection. 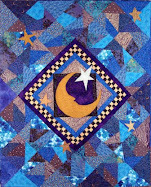 From Past to Present was a quilt Denice Lipscomb found inside another quilt; it may have been a wedding quilt because there were hearts quilted all over it, which is why Denice placed hearts in the corners. 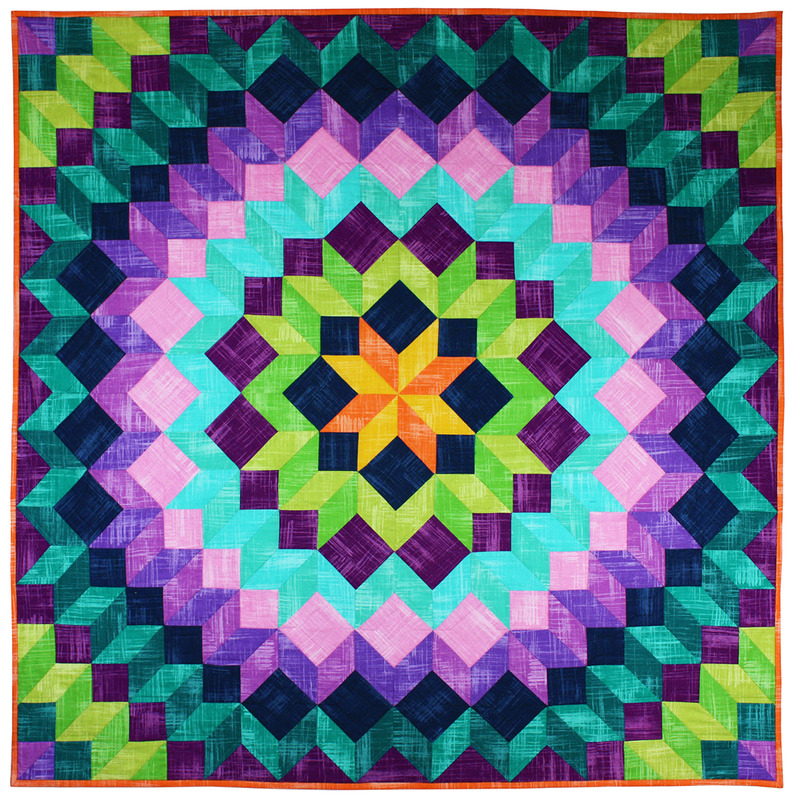 Delphia's Baskets was named in memory of Denice's great-grandmother, Mary Delphia Lowrance. 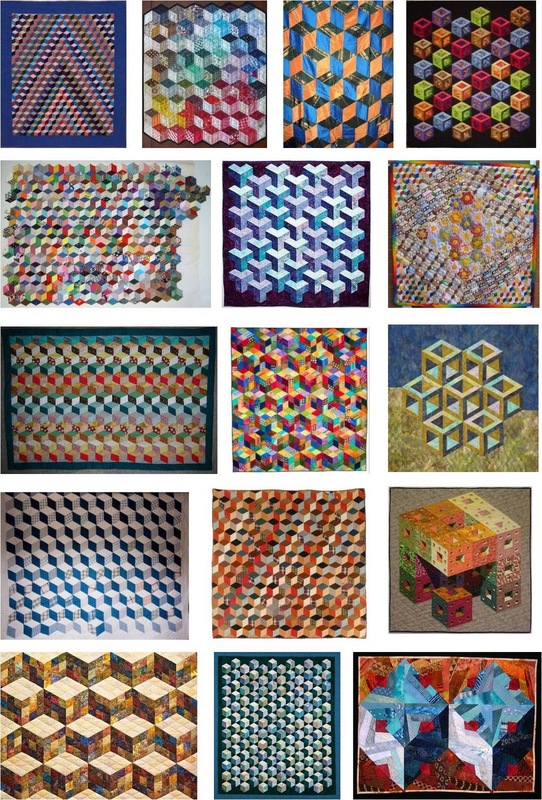 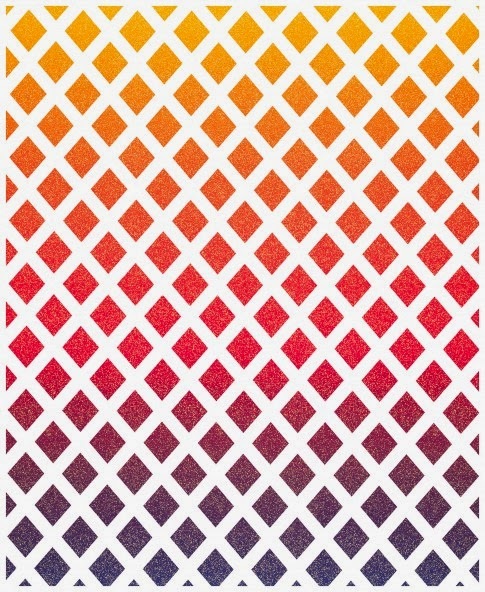 These are just two of Common Threads' original patterns. 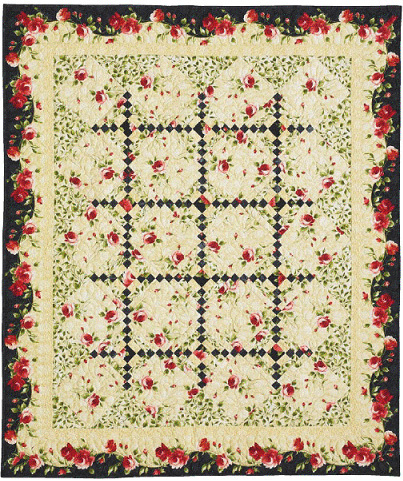 With "Climbing Rose", above, designer Maxine Ramey has created the perfect setting for the Rose Collection fabric by Jackie Robinson and Maywood Studio. Although "Climbing Rose" is a simple pieced quilt, we think that it embodies the ornamental style of its appliquéd sisters. 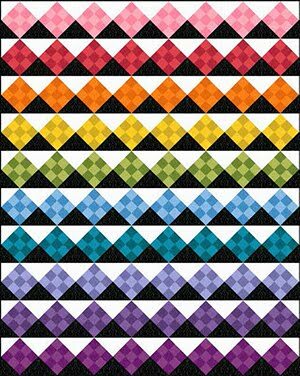 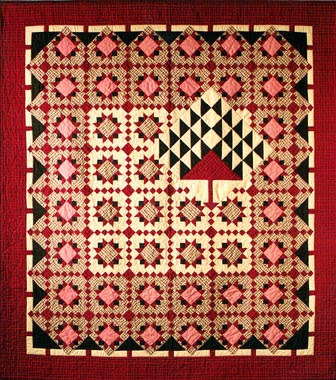 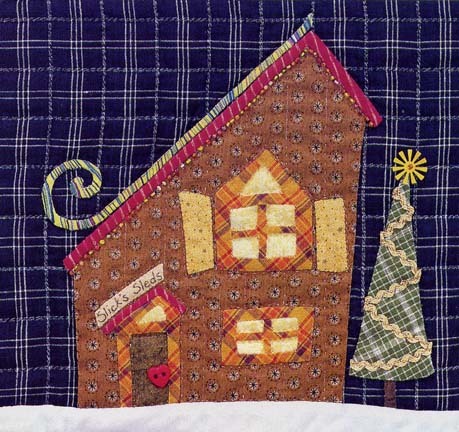 The log cabin variation blocks, known as "chimneys and cornerstones", are set on point so that the small black squares become diamonds, creating a lattice on which the red roses seem to climb. 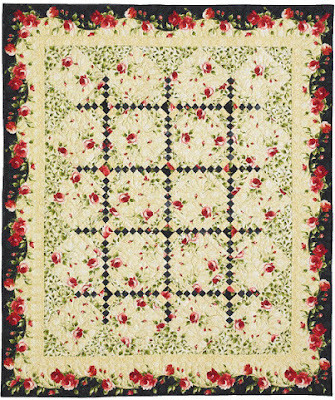 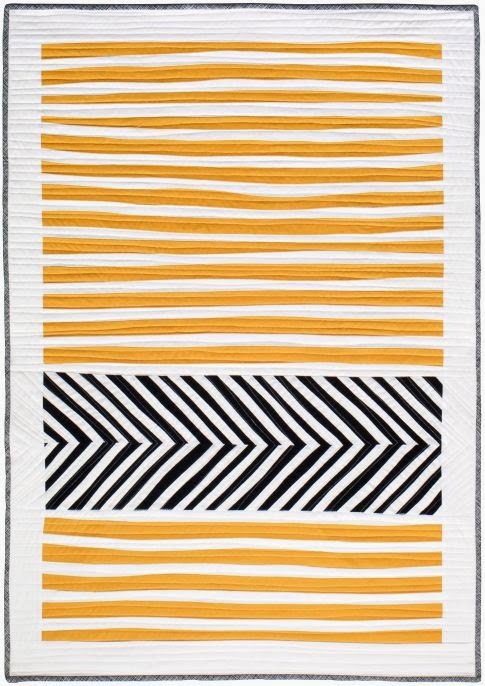 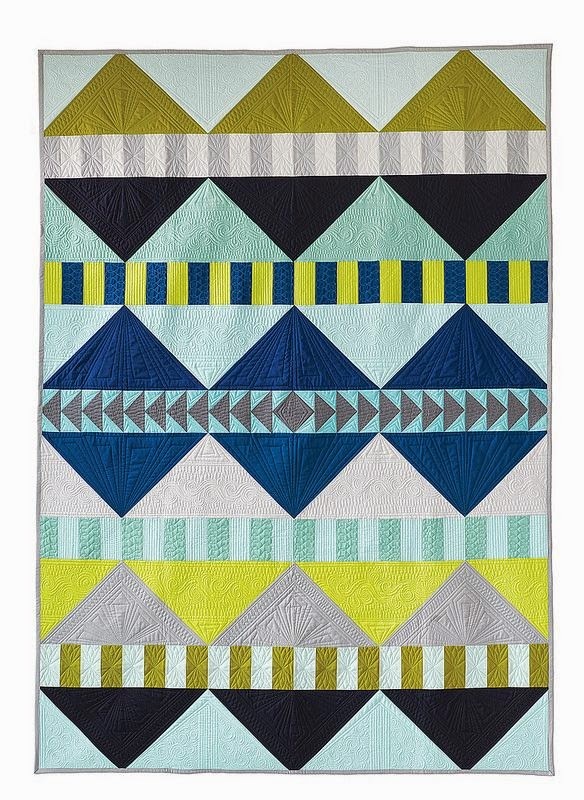 The folks at Better Homes & Gardens admired this quilt, too; they featured it in the Fall 2010 issue of Quilt Sampler Magazine. 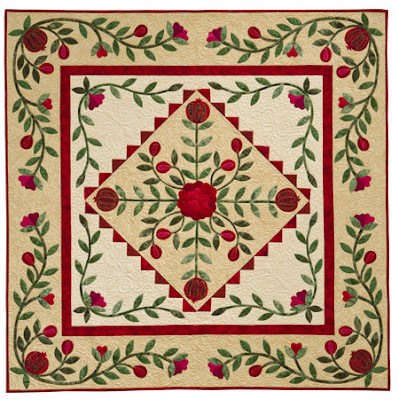 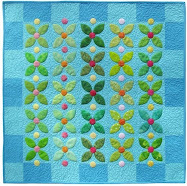 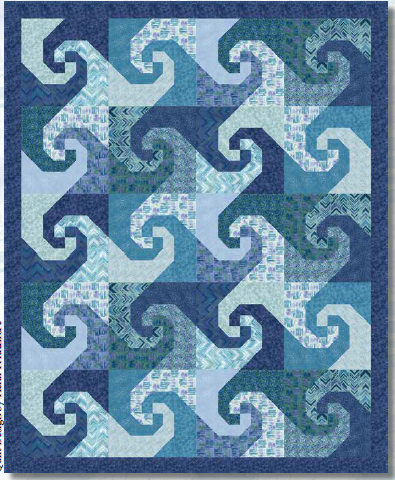 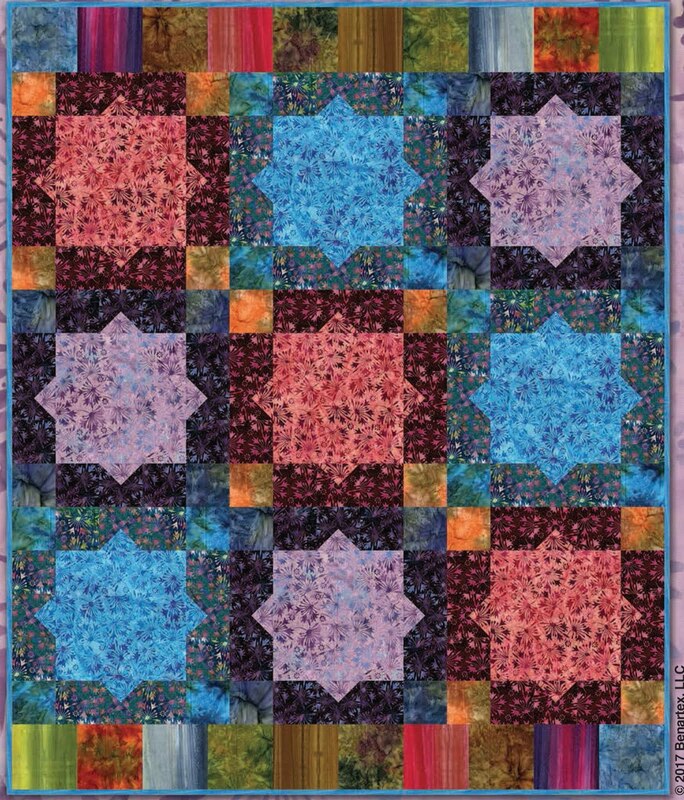 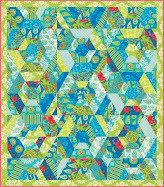 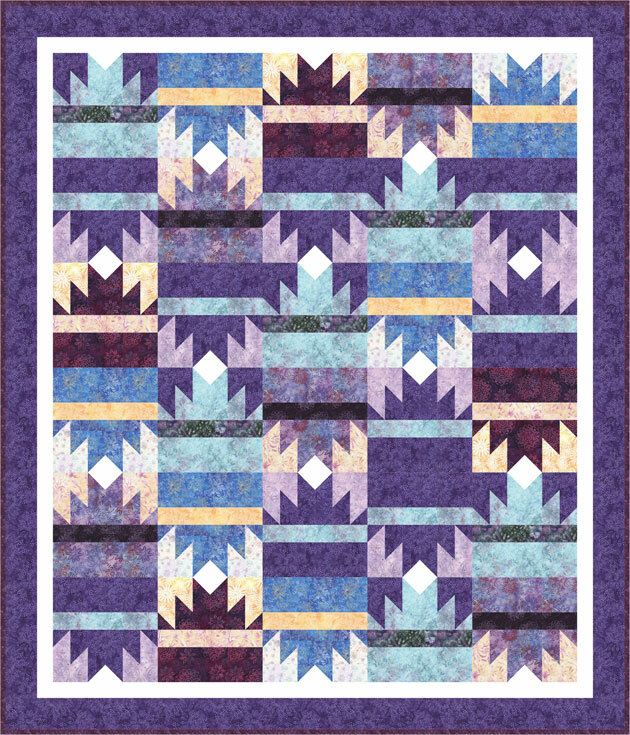 "Climbing Rose" is available as a kit from Maxine's quilt shop, A Stitch in Time, along with many other quilt kits. 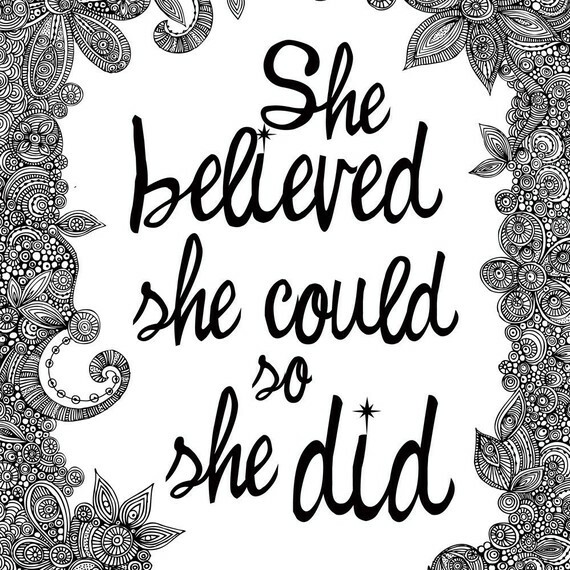 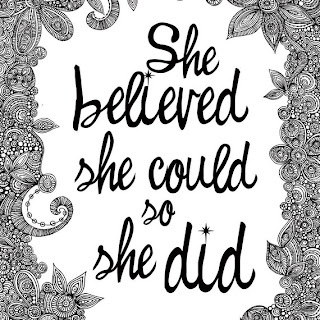 The shop is located in the beautiful Appalachian Mountains of North Carolina. 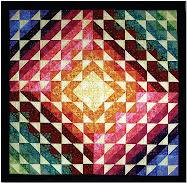 The magnificent quilt shown below was created in 1854 by members of the Old Otterbein Church, and it now resides in splendor at the Winterthur Museum in Delaware. 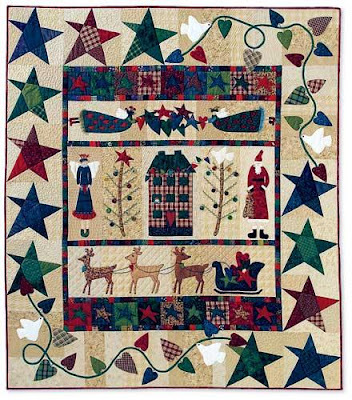 Click to see the details; if you look closely you will see eight different flower baskets, plus wreaths, birds, garlands, floral sprays, grapes, hearts, and a bible. 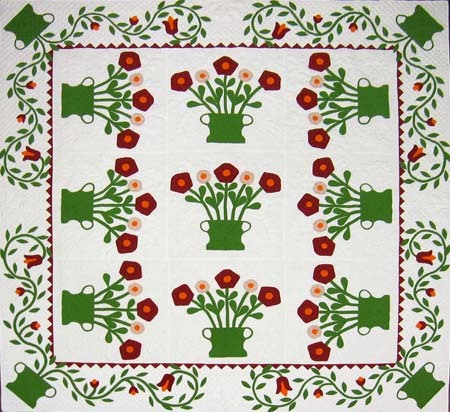 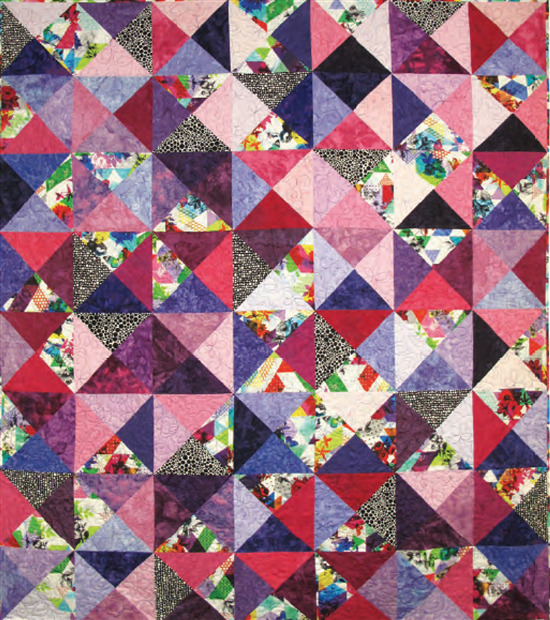 We were thrilled to learn that the Baltimore Appliqué Society had reproduced the Old Otterbein Quilt, and created patterns for all 25 blocks, in conjunction with the museum. 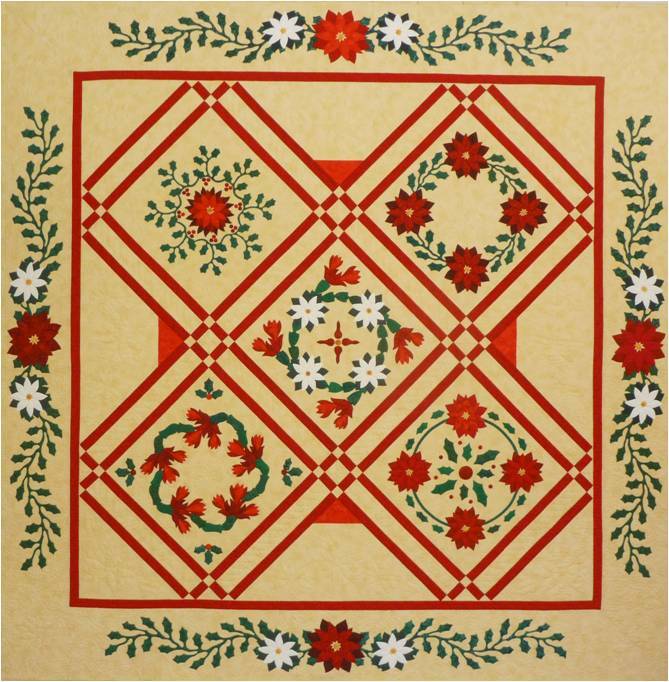 You can obtain a pattern "kit", which includes a pictorial CD, at the Winterthur Museum Store (telephone 1.800.448.3883, ext. 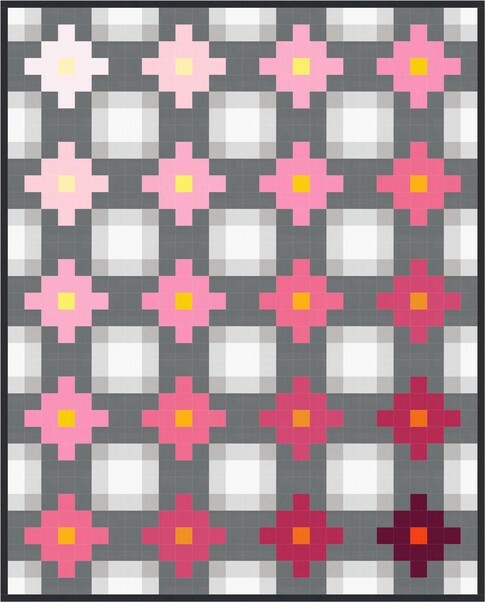 4822). 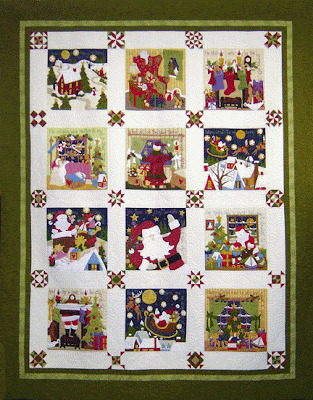 The kit is also available online until year-end*. 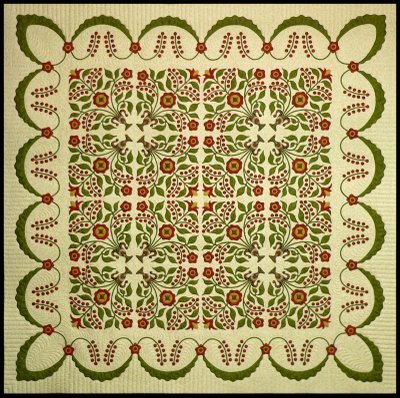 The Baltimore Appliqué Society preserves history and promotes the art of appliqué and quilting as perfected by Baltimore women. 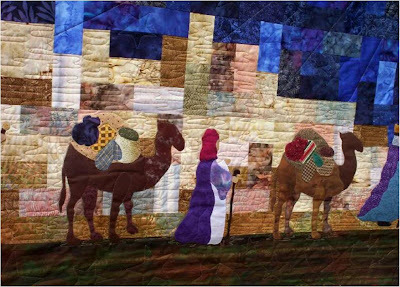 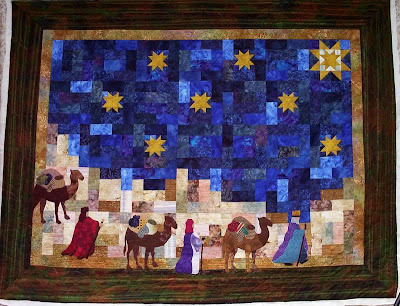 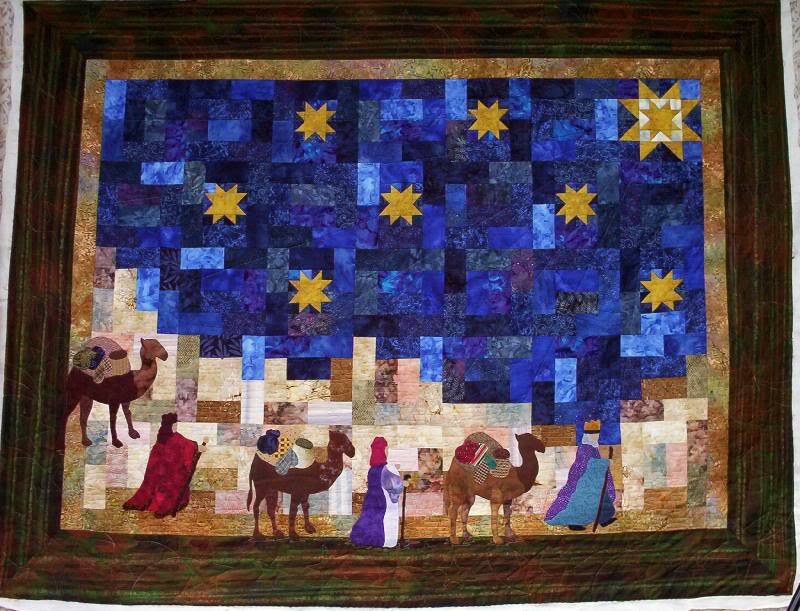 They have reproduced many extraordinary quilts from history - with patterns - so that present and future generations can enjoy them! 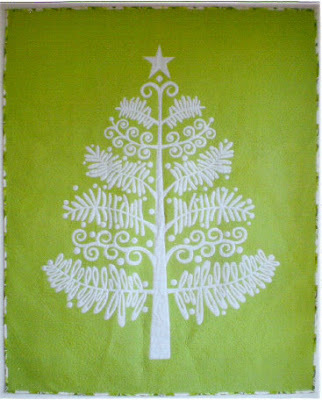 Their projects include the Lady of Victory quilt, the red-and-green Isaiah Mercier quilt, and the Mary Mannakee quilt. 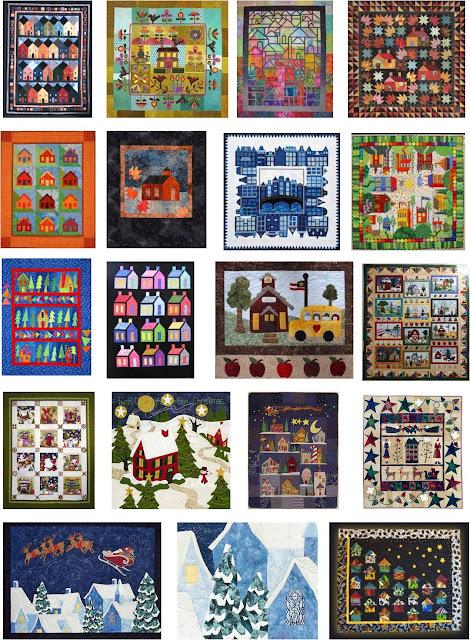 A complete list of projects can be seen at the BAS website. 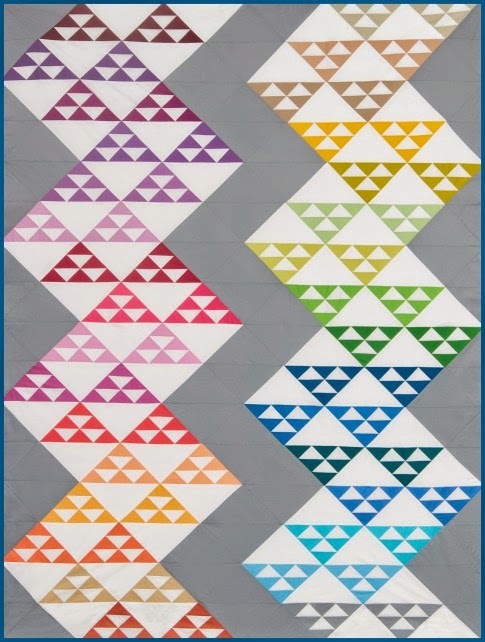 Recently, the BAS copied and has printed patterns for a ca. 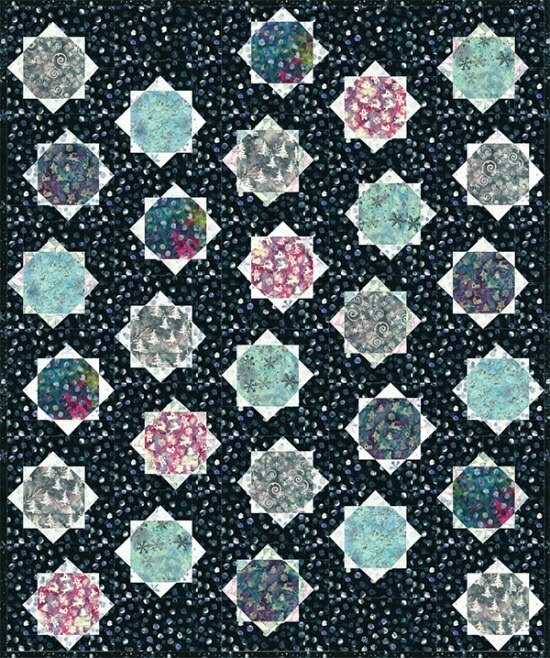 1845 Lady Liberty Quilt owned by Mary Koval, and they are making two copies of the quilt: one for Mary and another to be raffled off in the future. 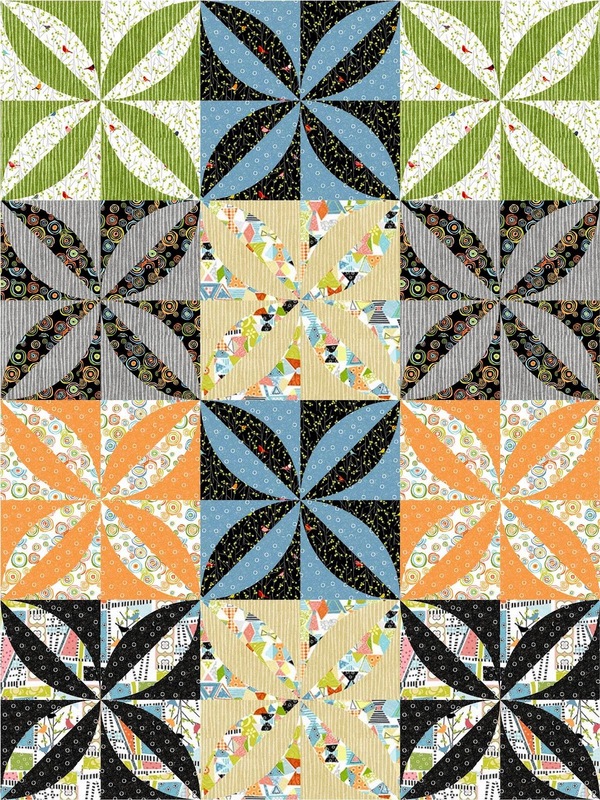 Mary Koval designs fabric for Windham, and a Lady Liberty line of reproduction fabrics found in the quilt is now on the market. 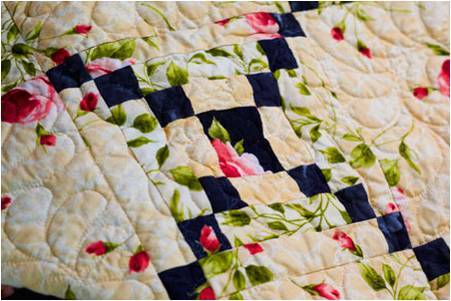 The Winterthur Museum has some of the finest works of textile art made in America, including a collection of quilts from the 17th to the early 20th centuries. 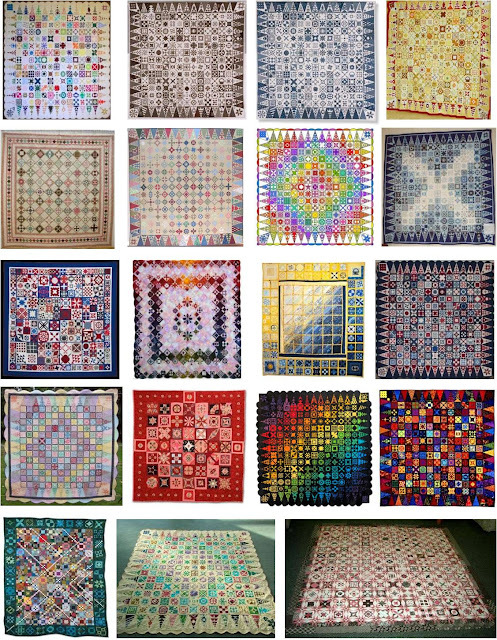 We love browsing the Wintherthur Digital Quilt Collection, which includes 148 high-quality quilt images. 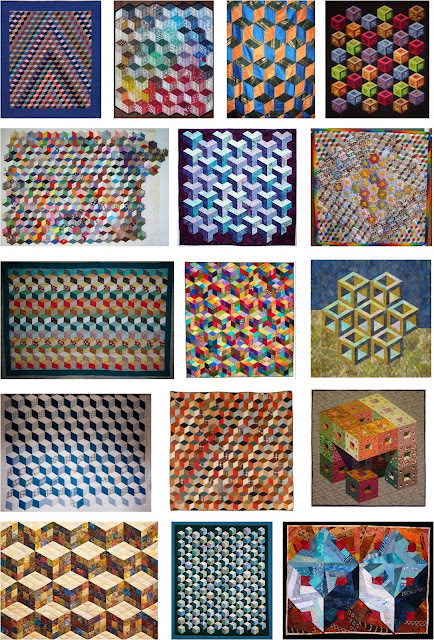 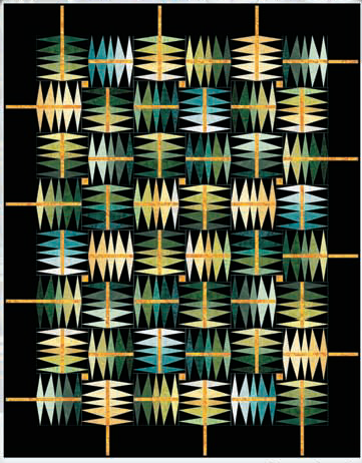 You can read an interview with Linda Eaton, the curator of textiles, at Collectors Weekly. 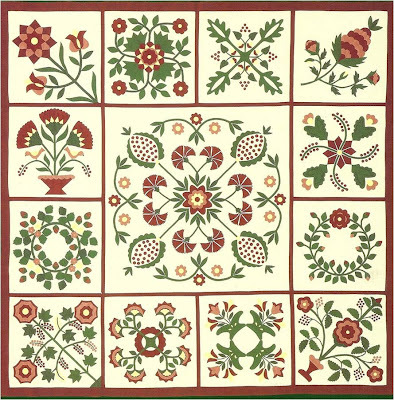 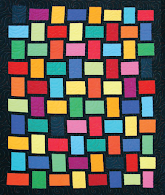 Also see the beautiful book by Linda Eaton, Quilts in a Material World: Selections from the Winterthur Collection. 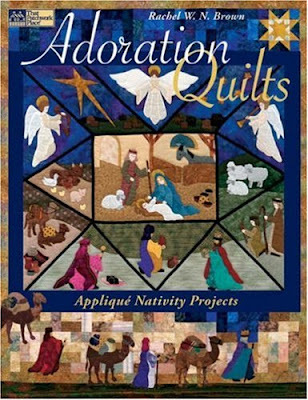 Image credits: Images are shown with the generous permission of the artists. 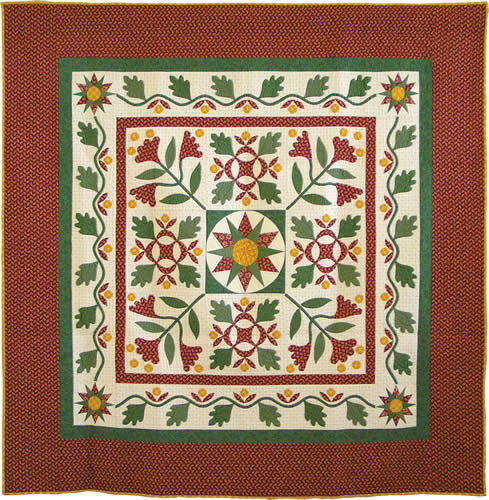 The Old Otterbein quilt is shown with permission of the Winterthur Museum and the assistance of Heather Hansen, and with the assistance of Cathy Marciano of the Baltimore Applique Society. 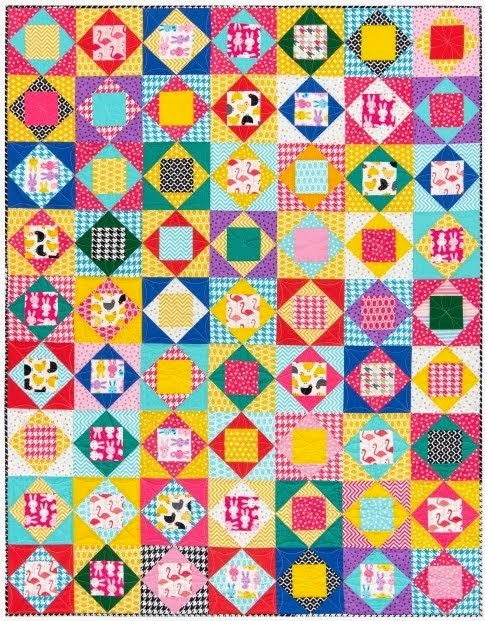 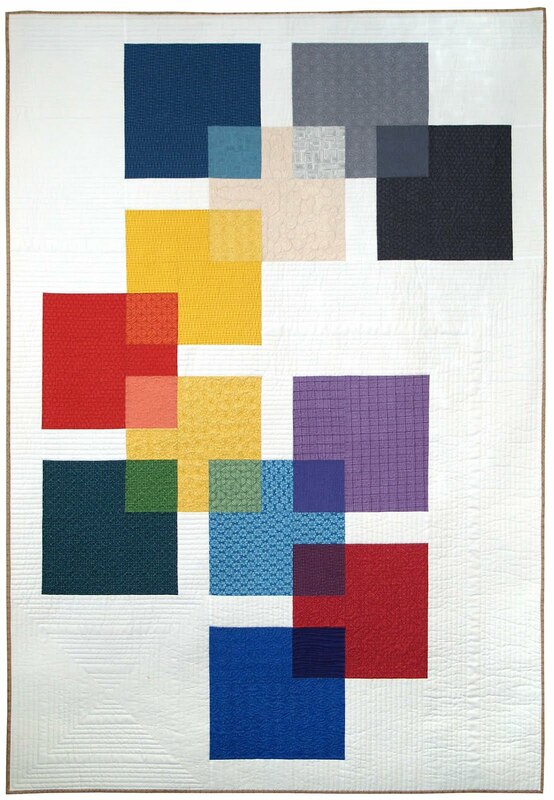 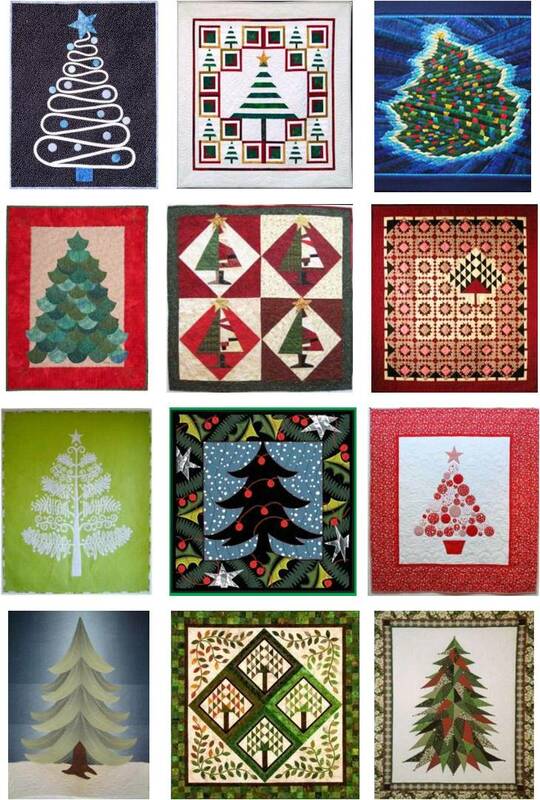 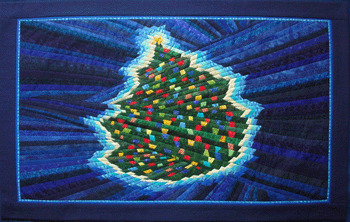 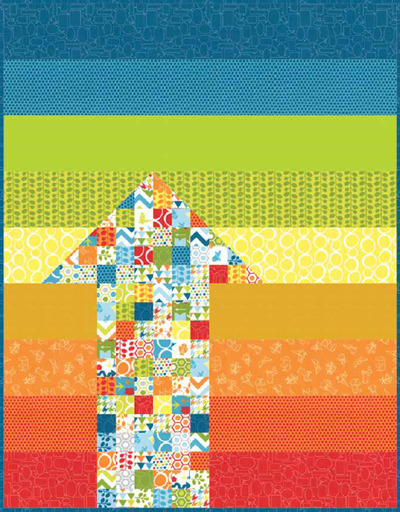 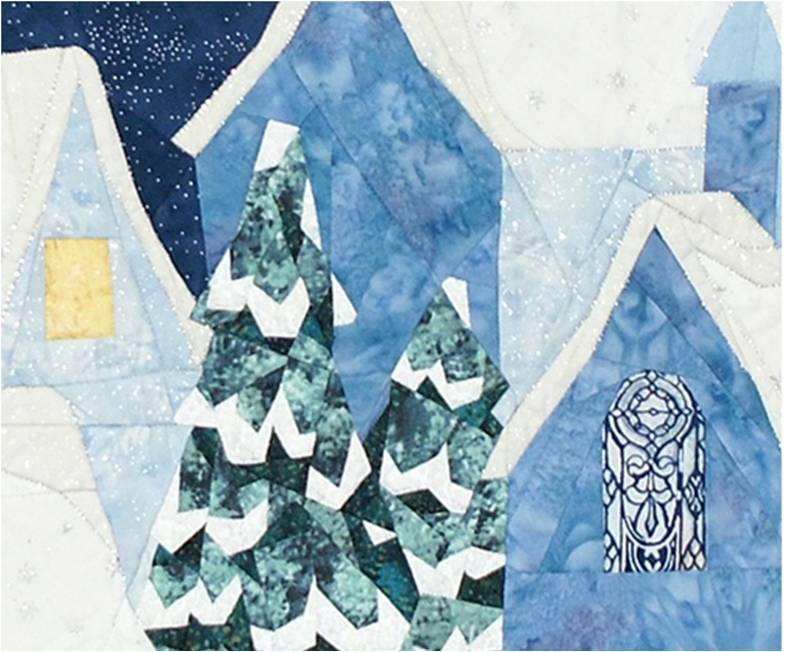 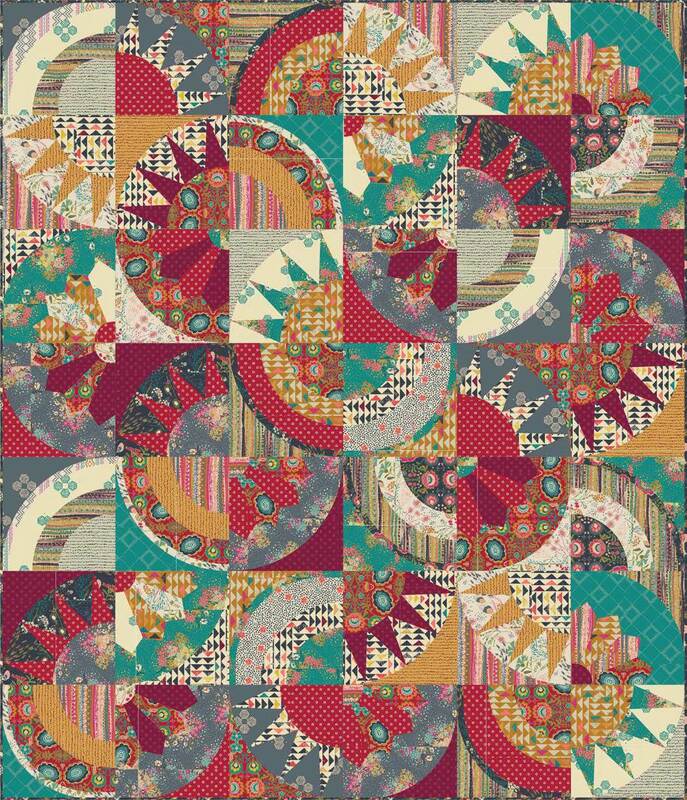 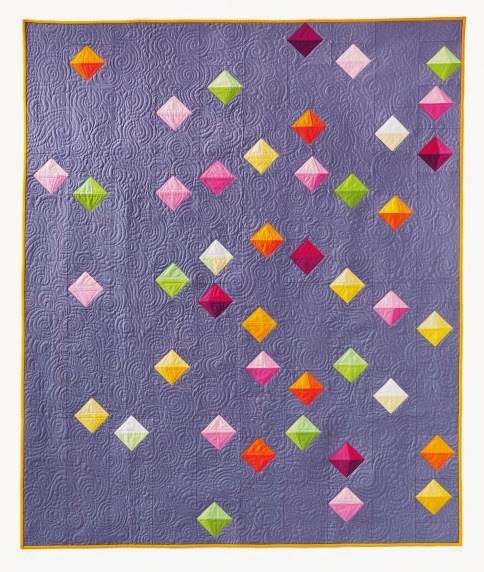 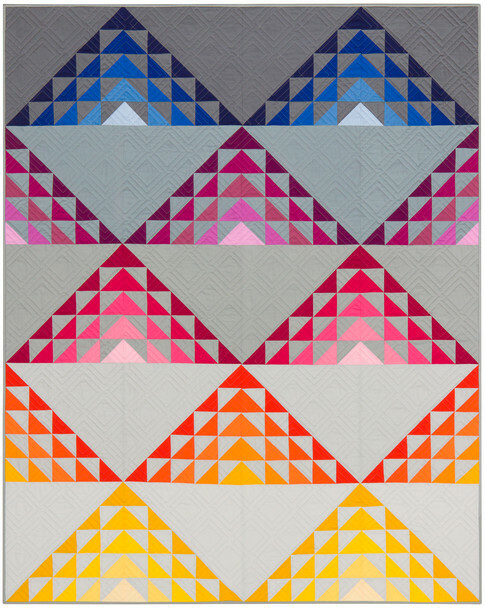 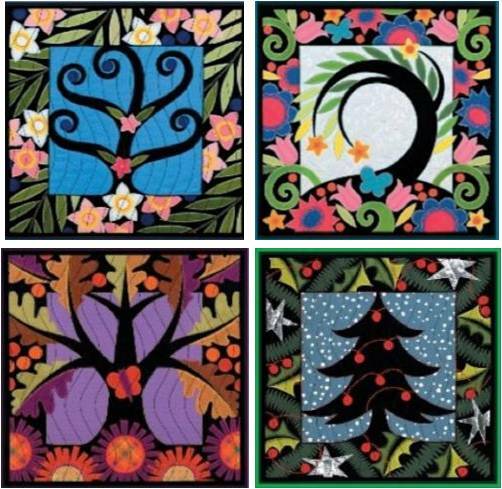 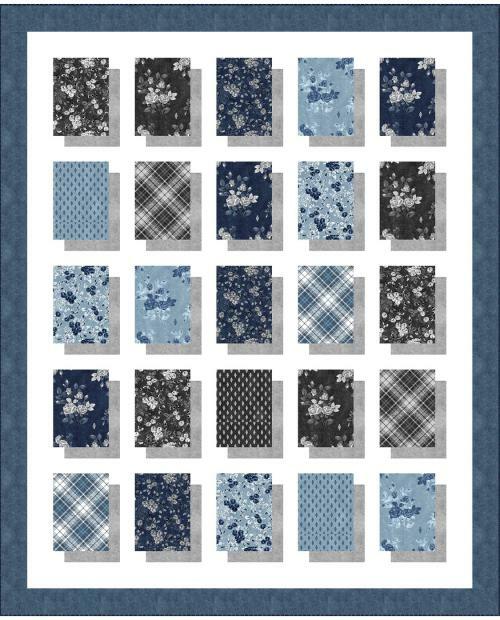 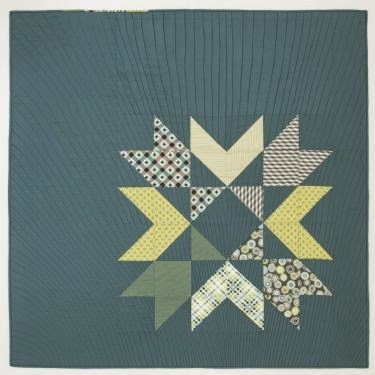 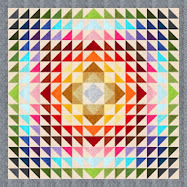 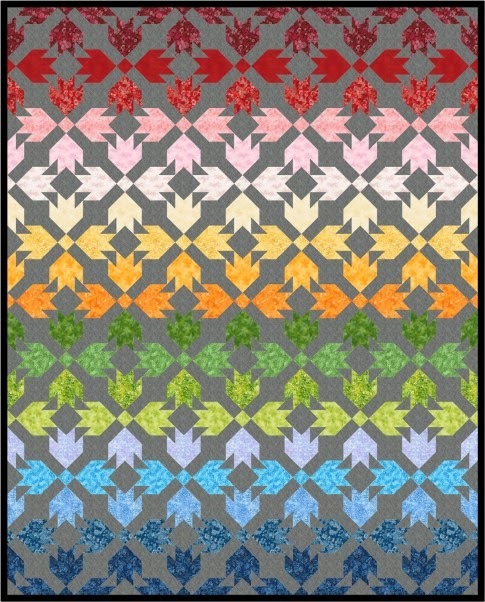 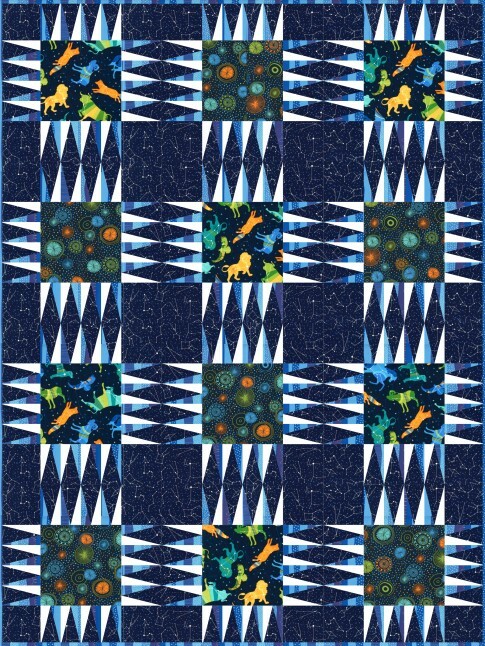 *Through December only, the Old Otterbein Quilt kit is available online at the winterthurstore.org website; the museum store is migrating to the new winterthurstore.com website by year end.